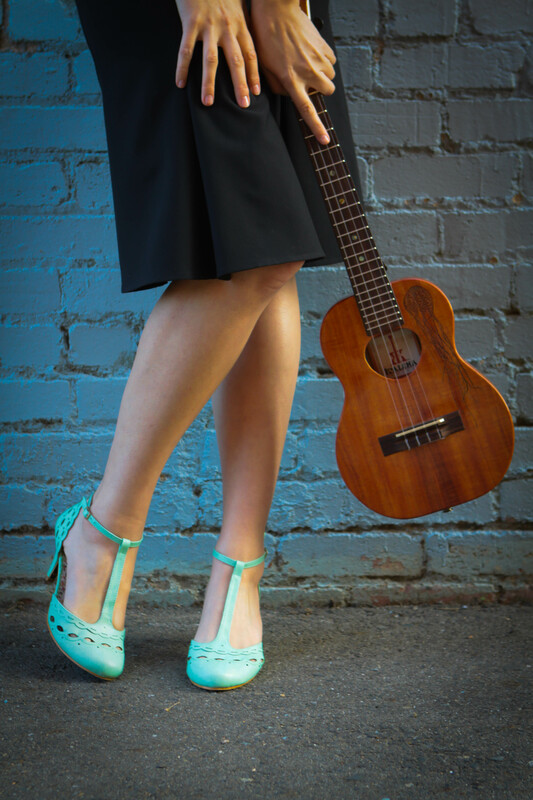 Select any heading below for brief, text-only biographies that you can copy and paste. 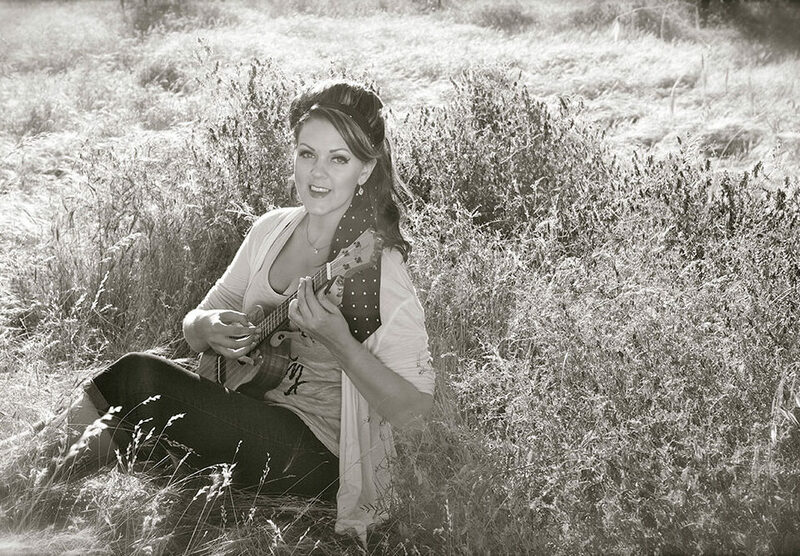 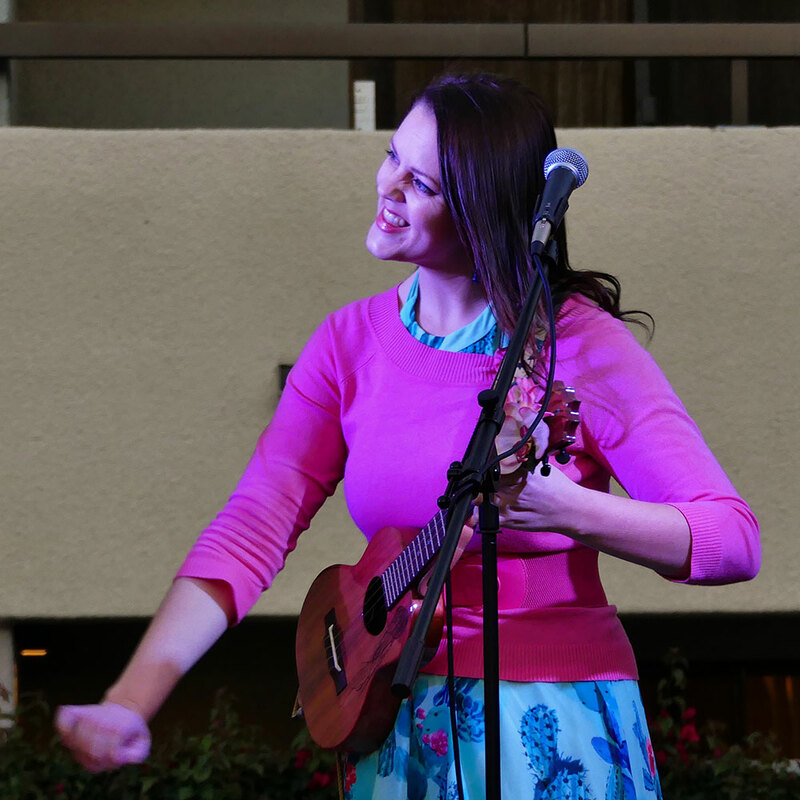 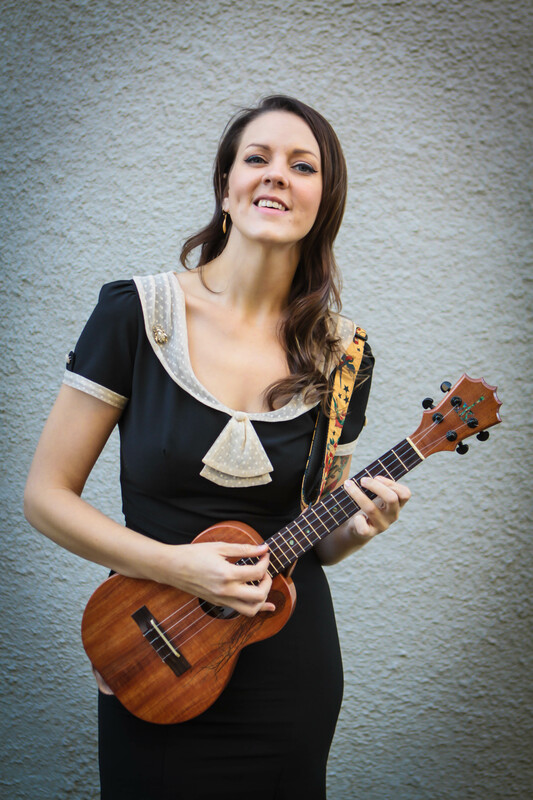 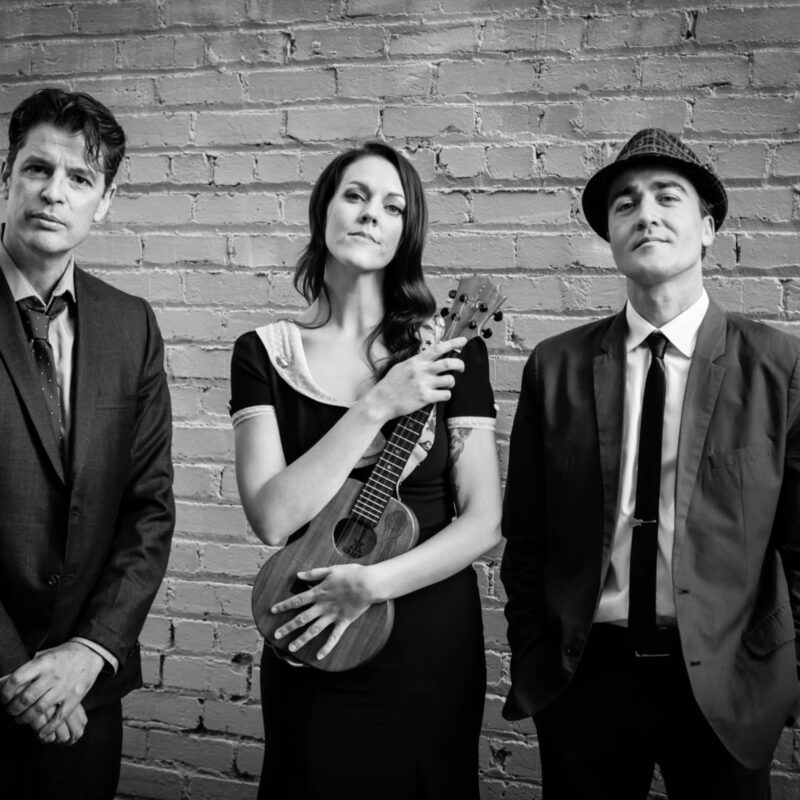 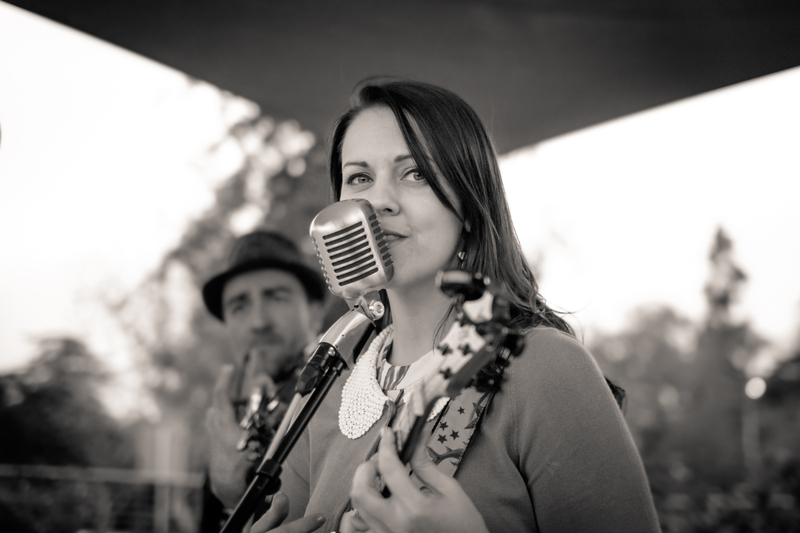 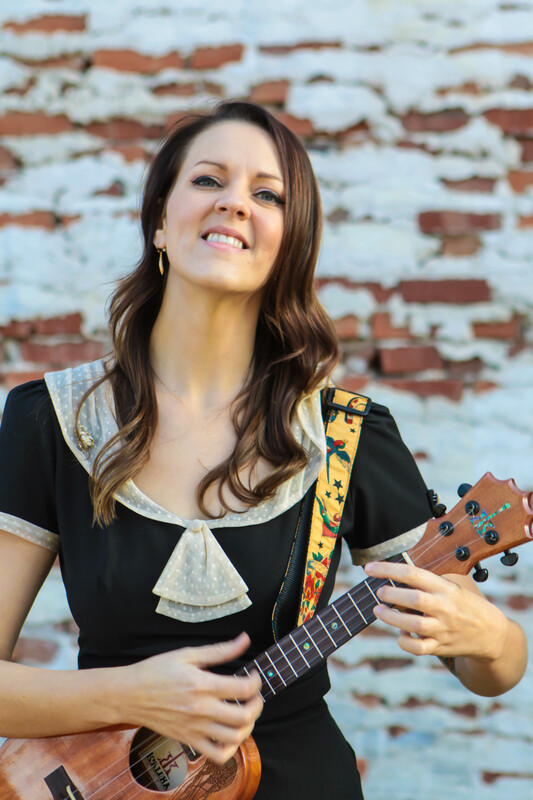 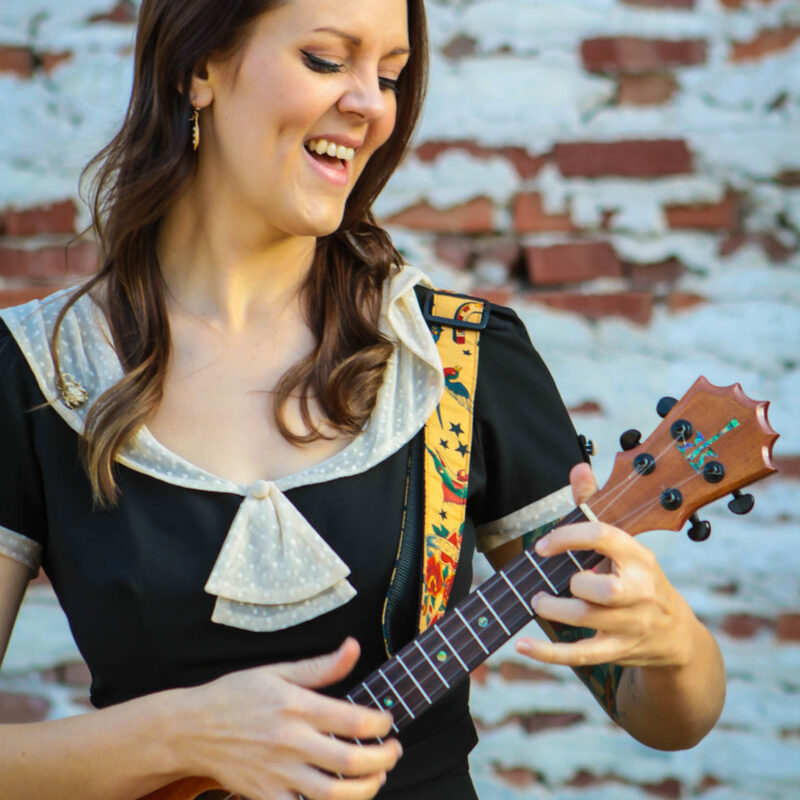 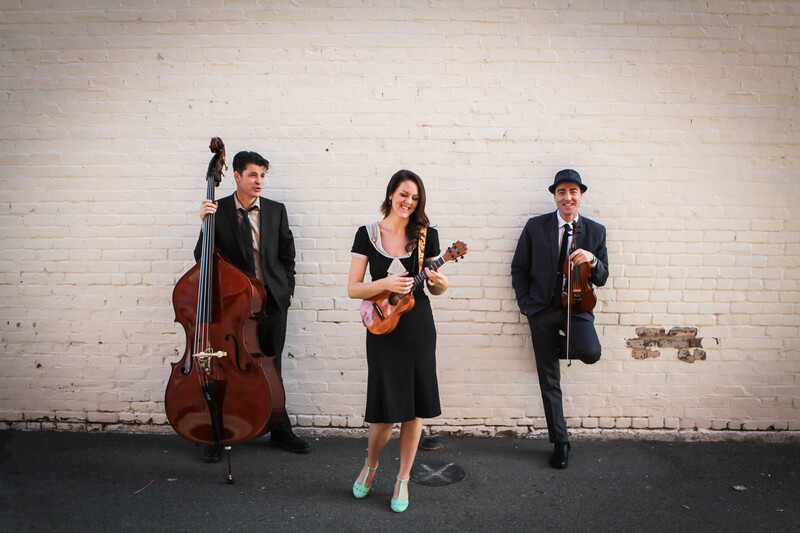 Dani Joy is a California based singer/songwriter/instructor and proud featured artist of Ko’aloha Ukulele. 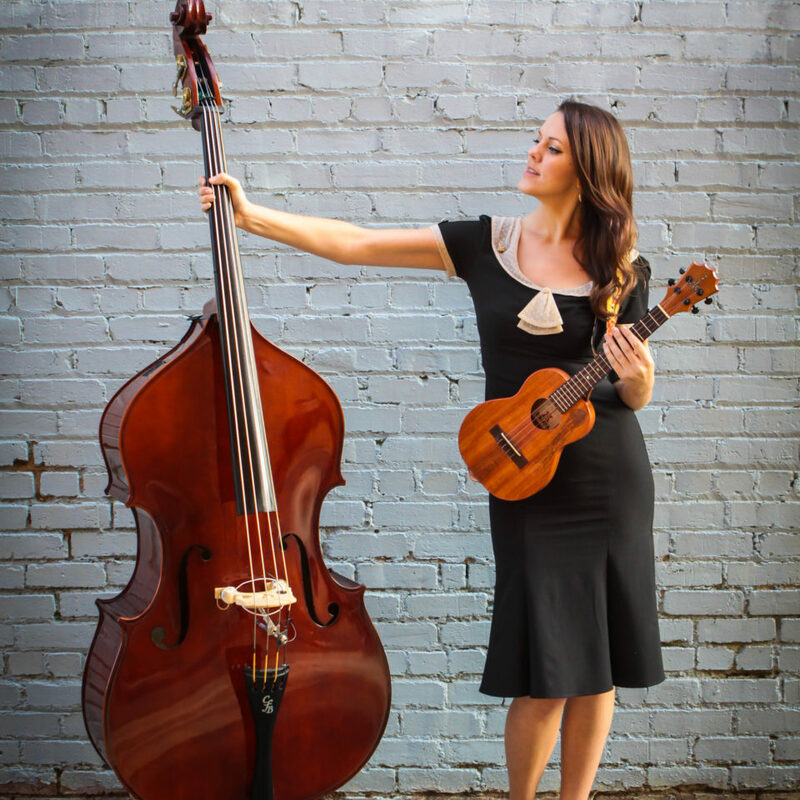 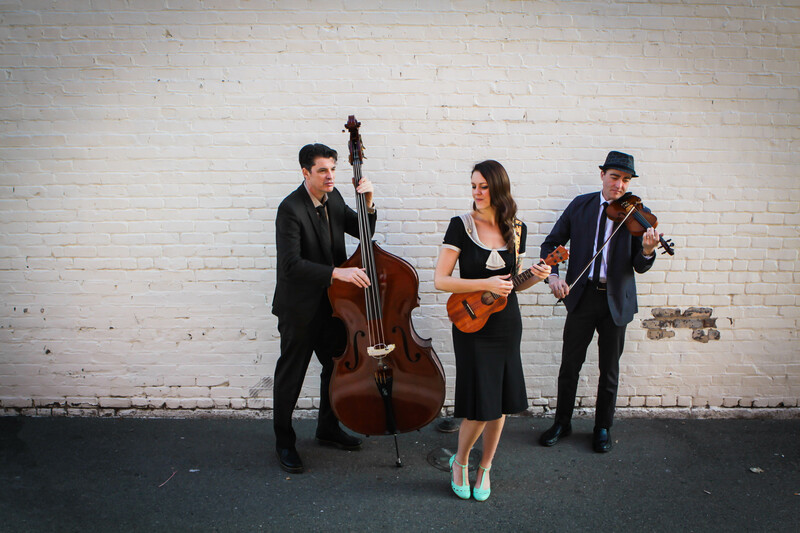 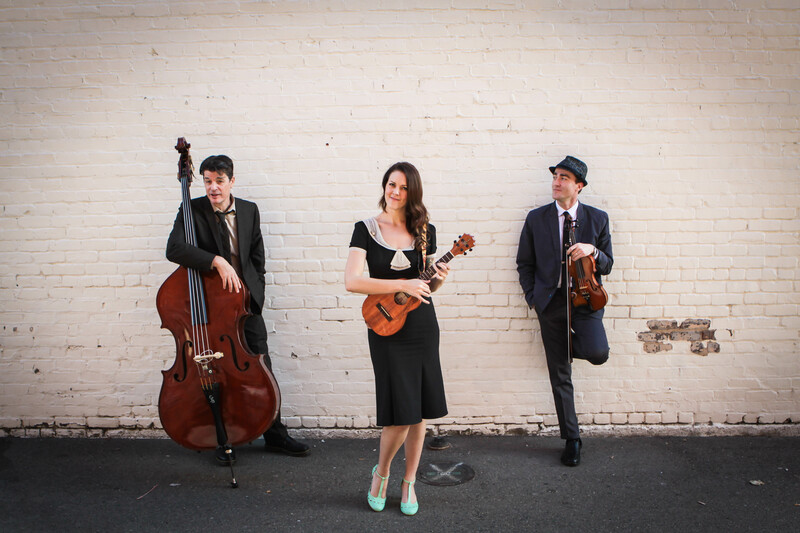 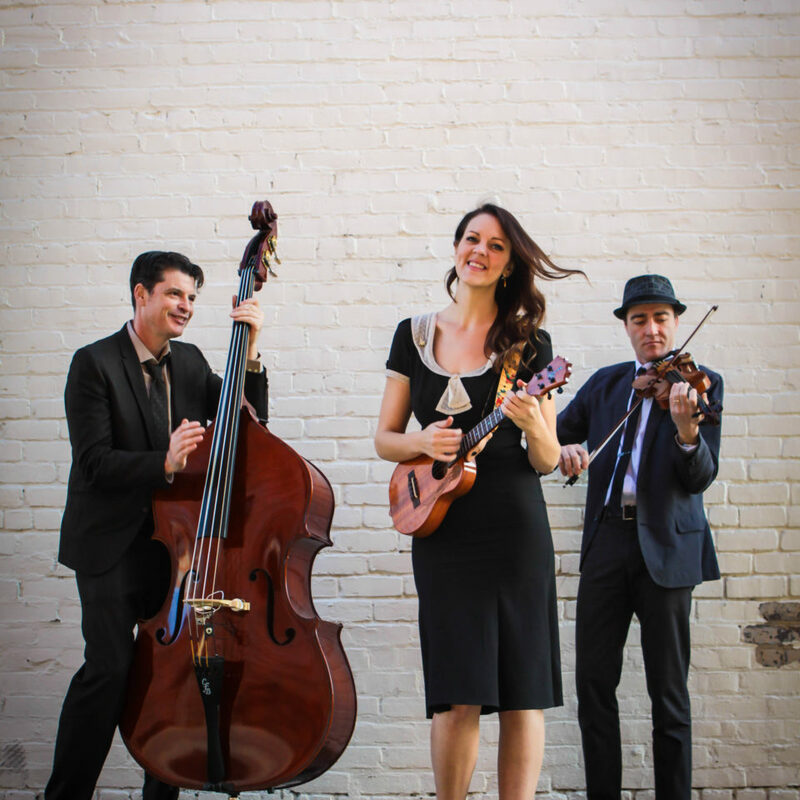 Her world influenced musical style is soothing and romantic, blending old time jazz with Bossa nova/exotica genres. 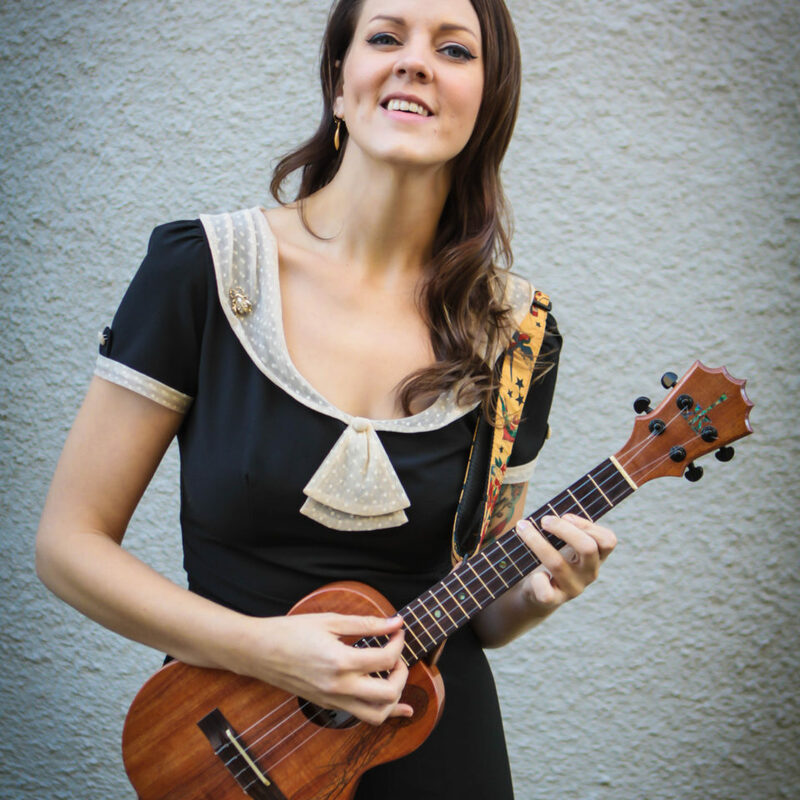 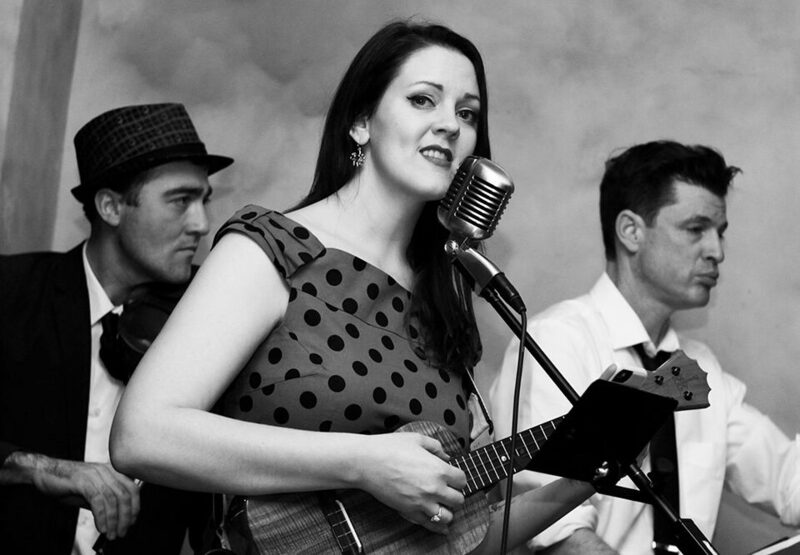 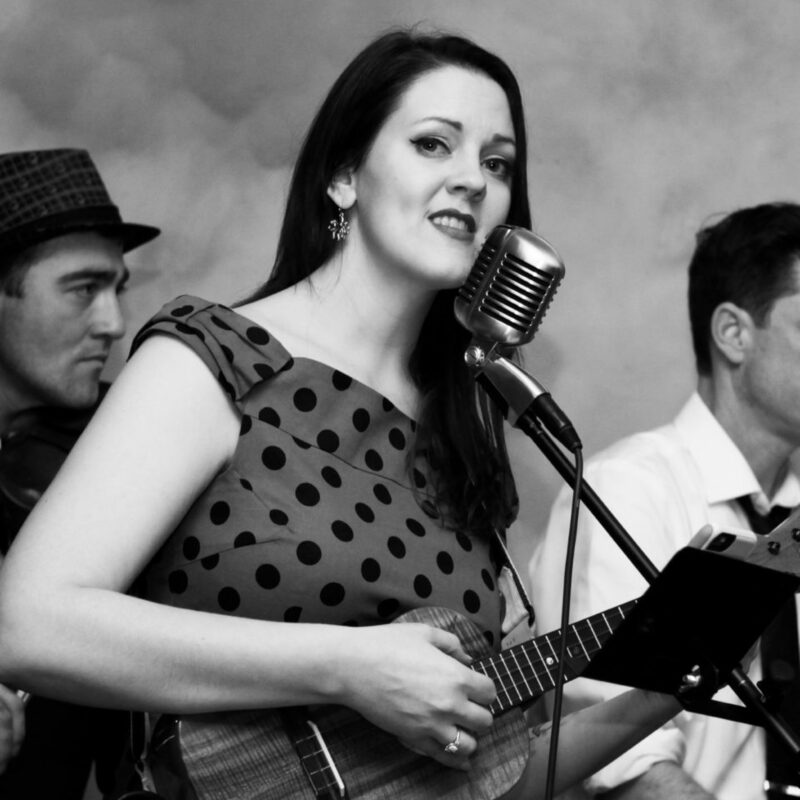 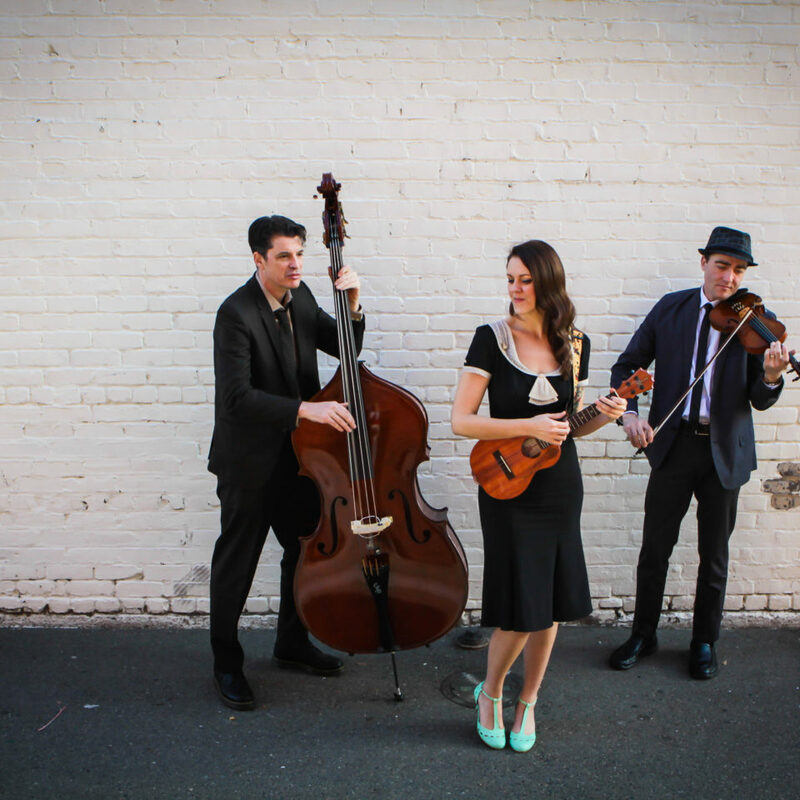 She is most noted for her crooning alto vocals and tasteful ukulele fingerpicking & accompaniment. 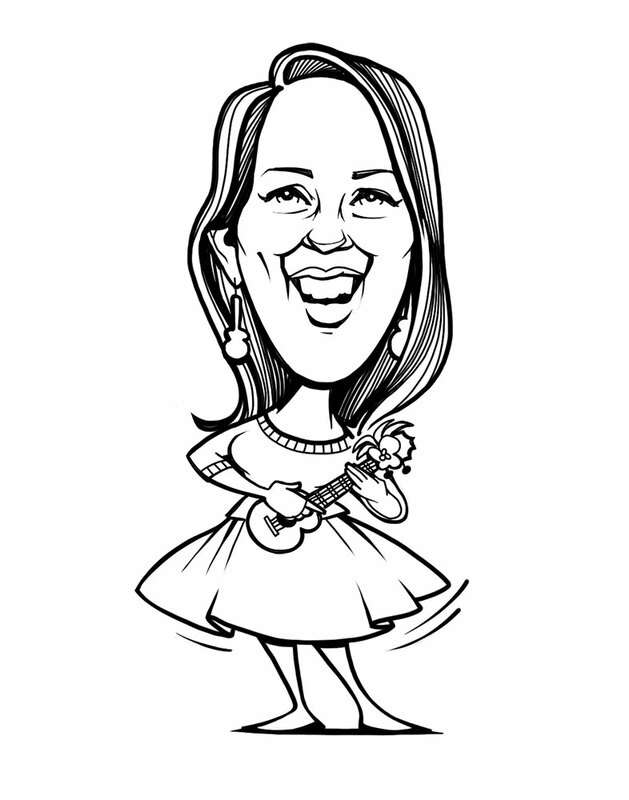 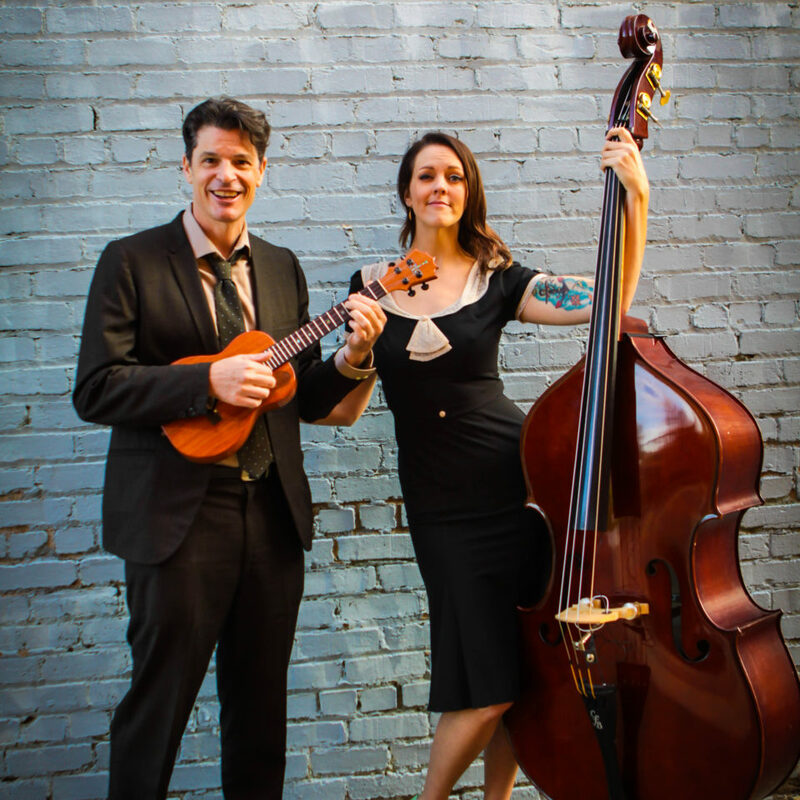 Soon after graduating from the Rhode Island School of Design (Illustration 2010), her Dad Stu Herreid gave her a ukulele, opening an unexplored world of jazz and endless possibilities on four simple strings. 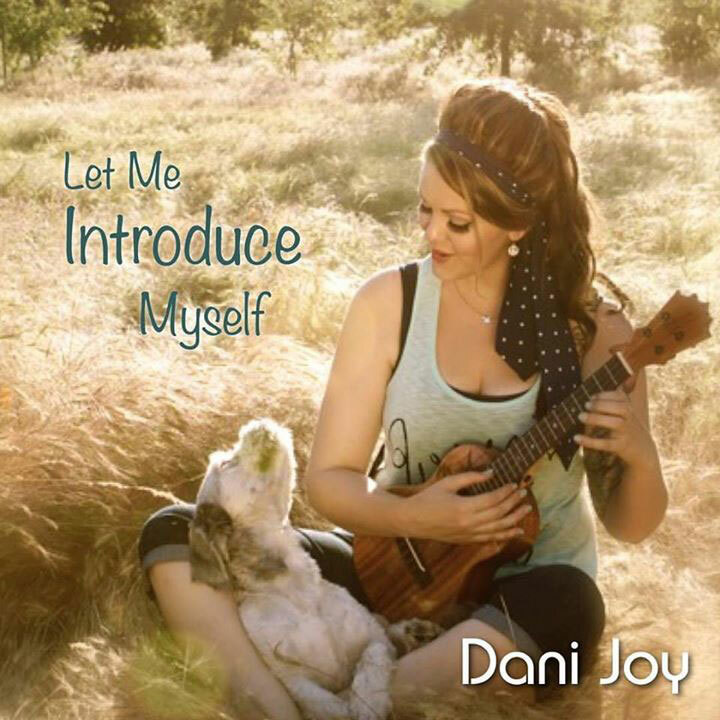 Expressing her art through music, Dani has entranced audiences across the country, inviting them in with her velvet vocals and compassionate style of teaching. . Today she is diligently working on her next album of original songs, using events in her own journey as inspiration. 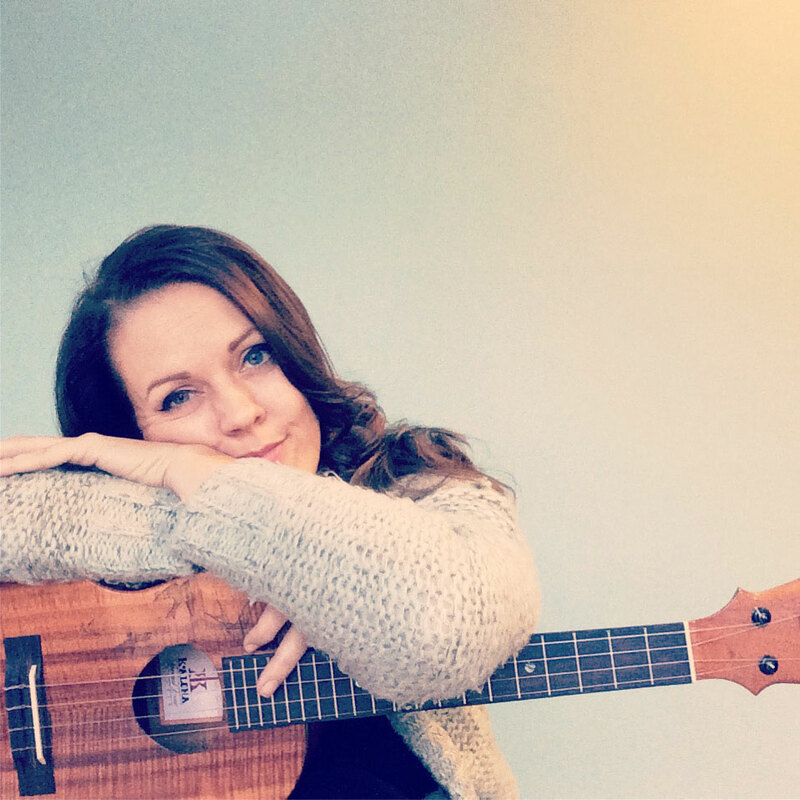 Her second album is set to release in early Spring 2018. 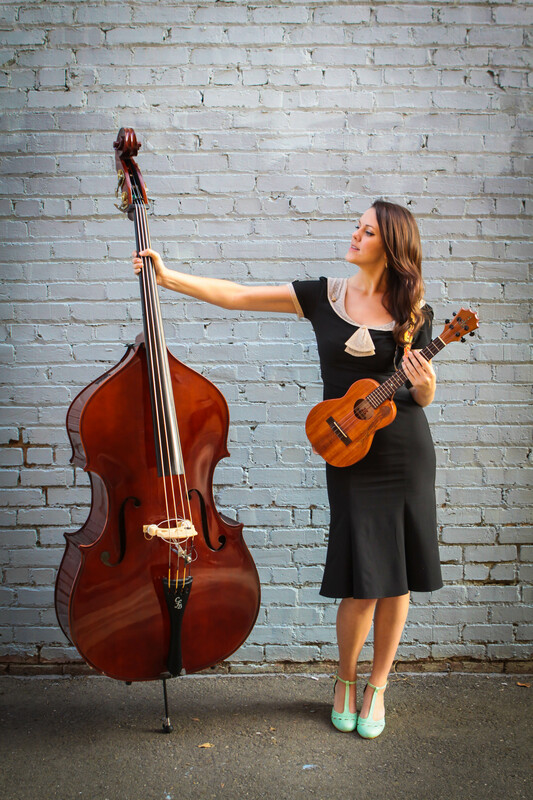 Her world influenced musical style is soothing and romantic, blending old time jazz with Bossa nova/exotica genres. 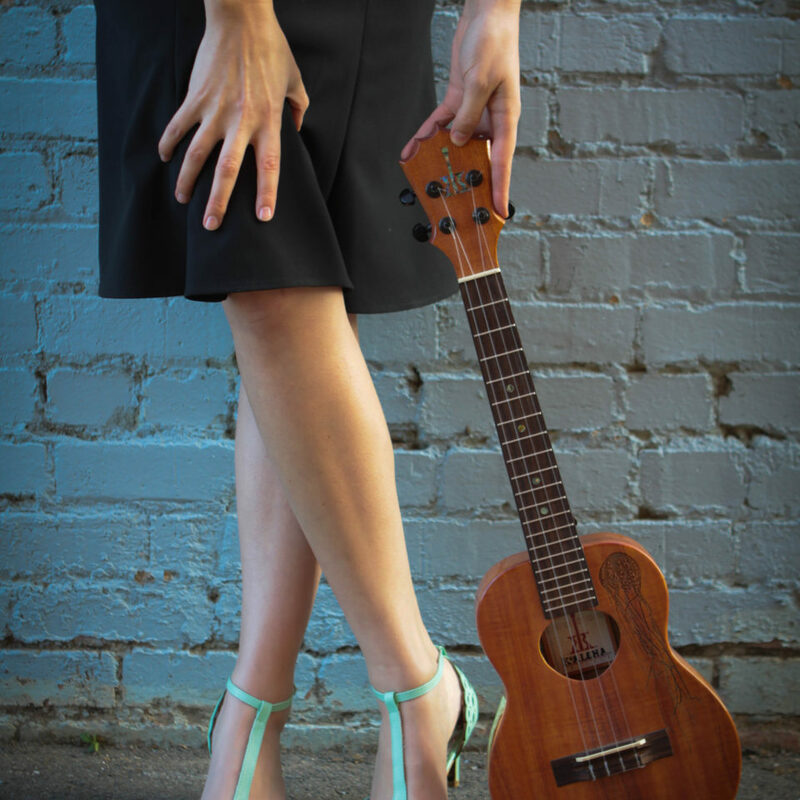 She is most noted for her crooning alto vocals and tasteful ukulele fingerpicking & accompaniment. 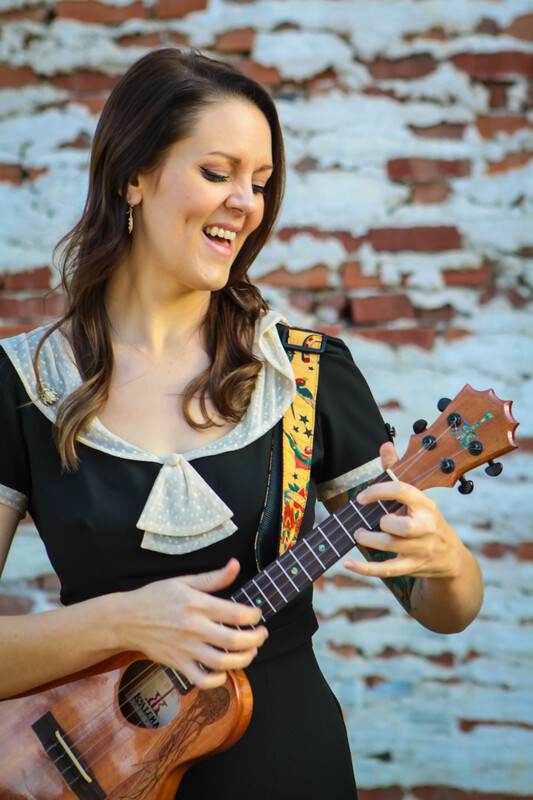 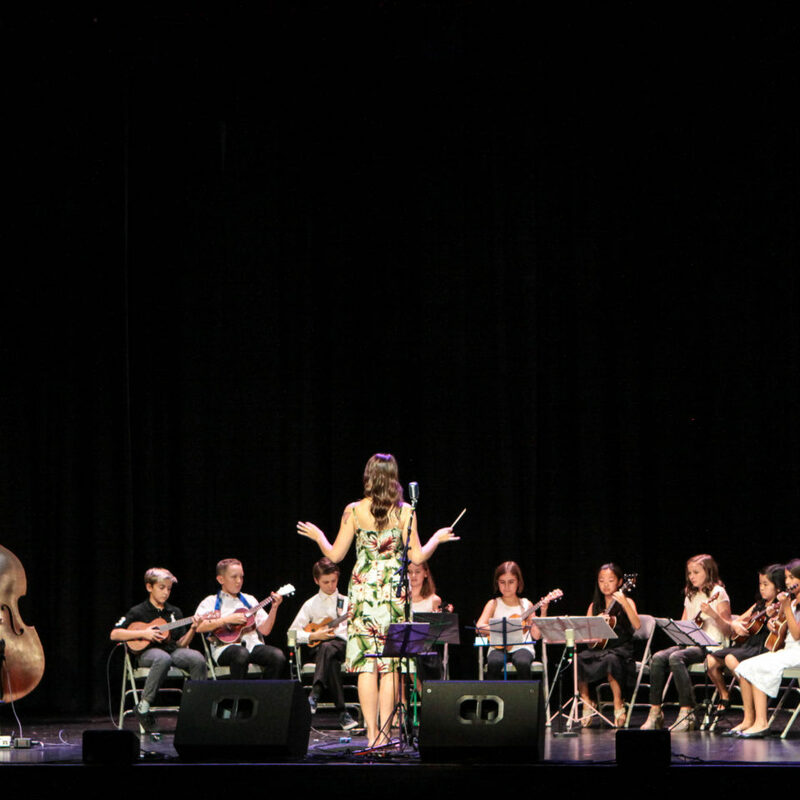 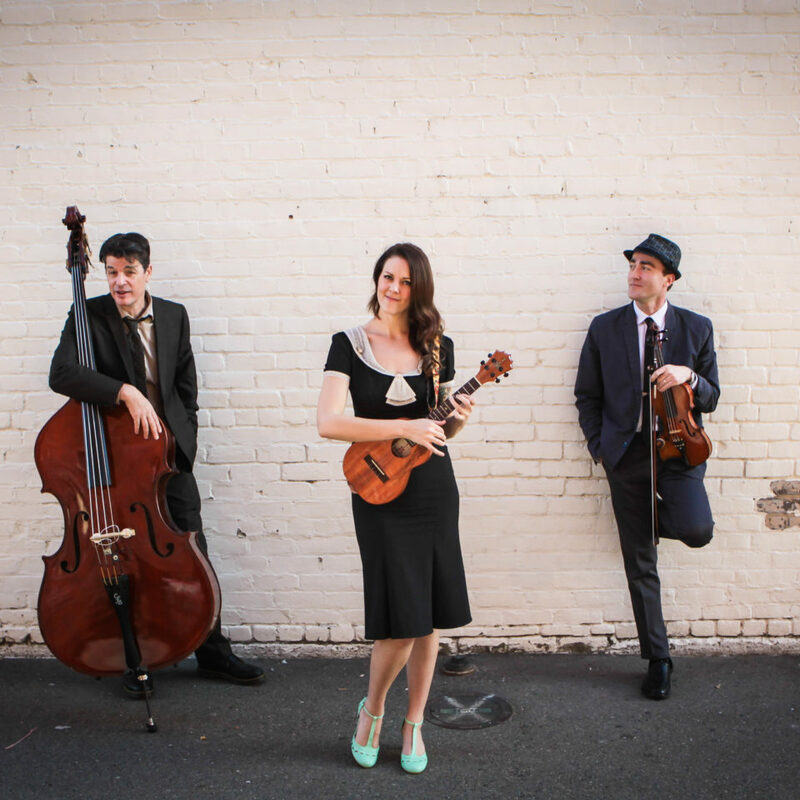 Expressing her art through music, Dani has entranced audiences across the country, inviting them in with her velvet vocals and compassionate style of teaching. 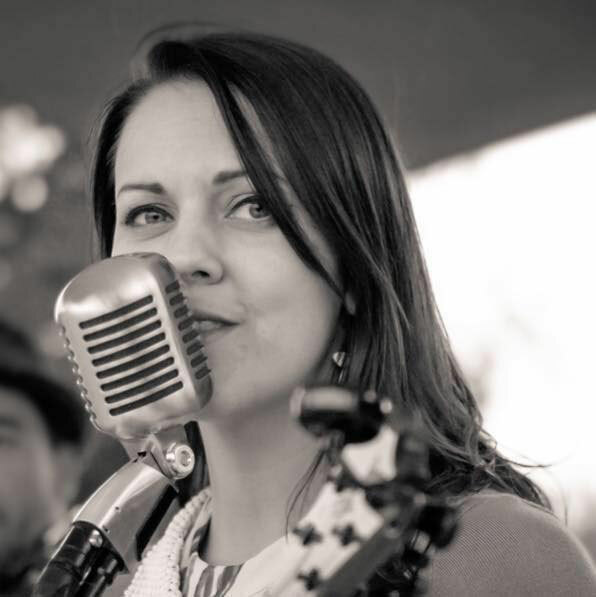 Originally from Redding Ca, she now resides in Grass Valley Ca, touring as often as possible across the USA and internationally to venues and festivals across the globe. 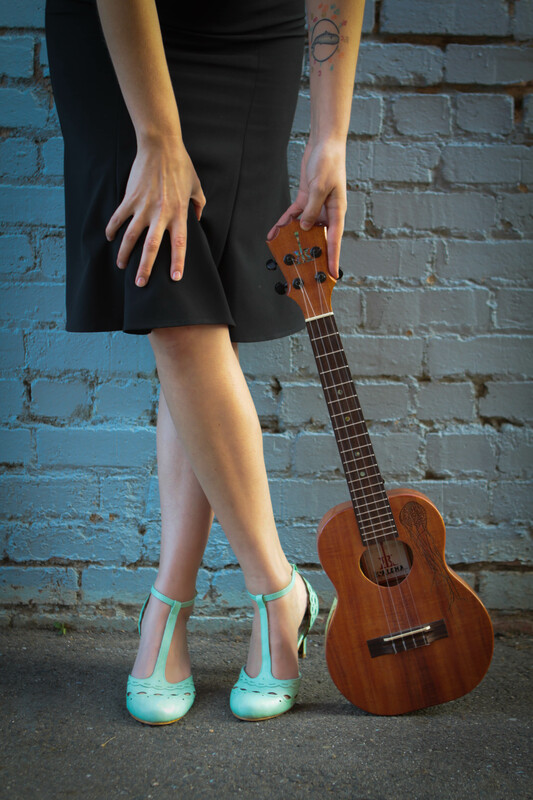 Her second album is set to release in early Spring 2018. 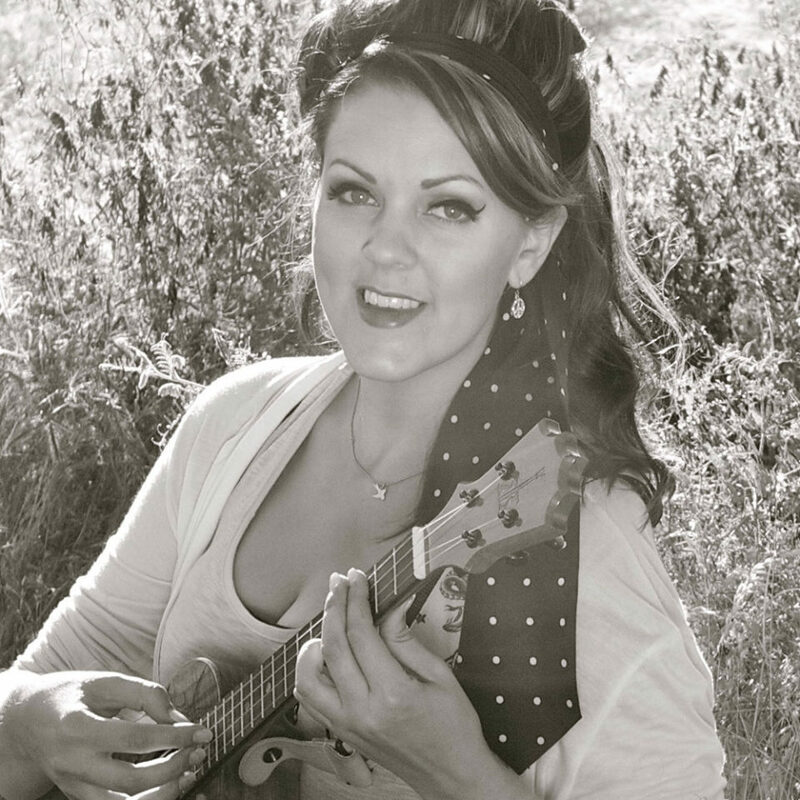 Dani Joy is a California based singer/songwriter/instructor and proud featured artist of Ko’aloha Ukulele. 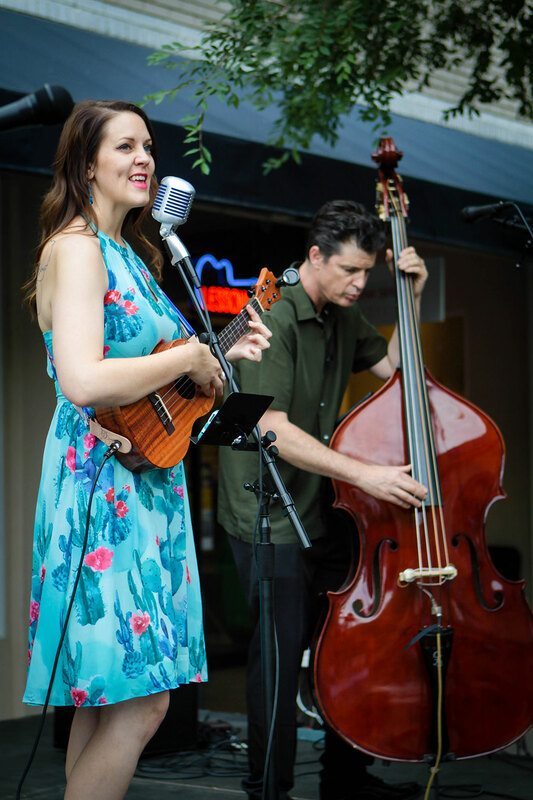 Her world influenced musical style is soothing and romantic, blending old time jazz with Bossa nova/exotica genres, including songs in English, French and Spanish. 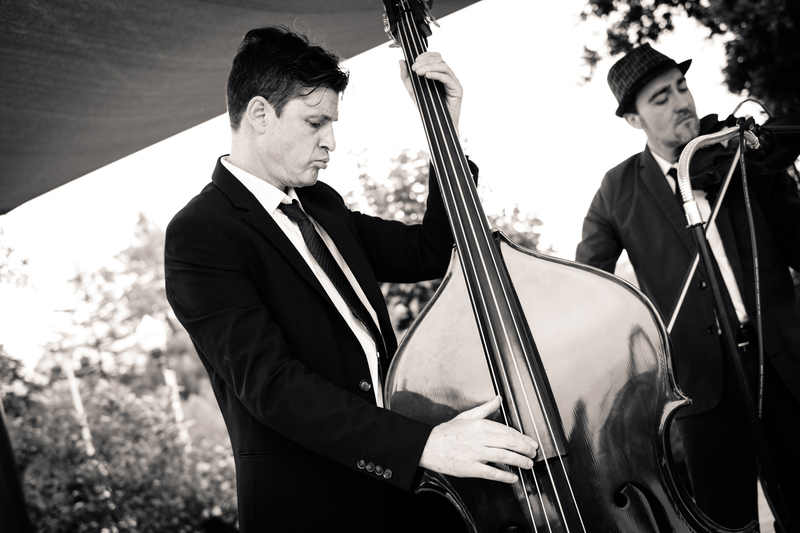 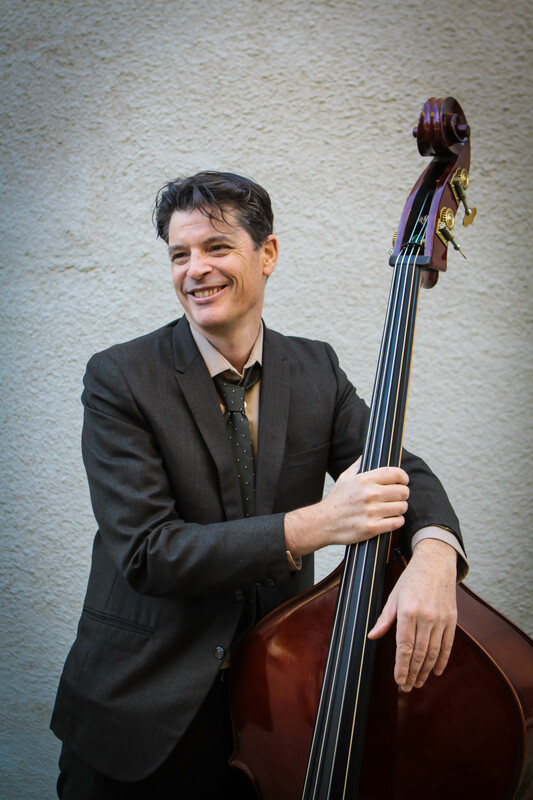 Accompanying her on the upright bass is Perry Stauffer, who’s bass lines are not just foundational, but extraordinary. 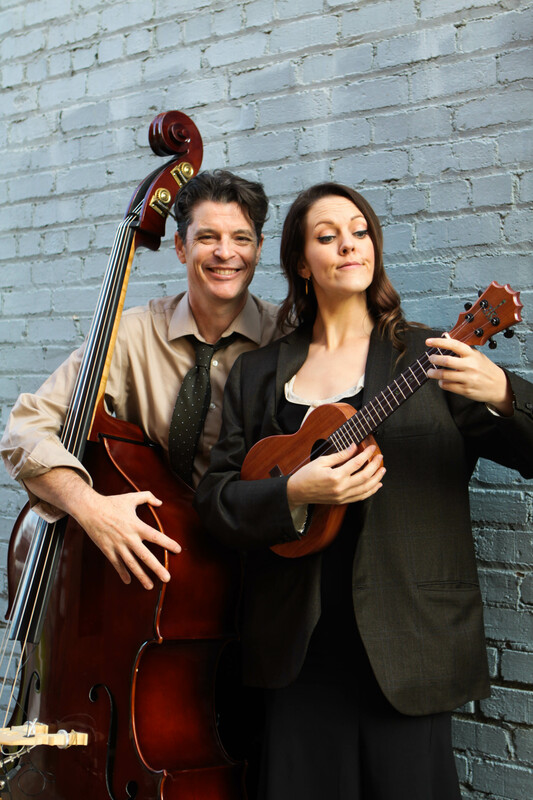 The pair offers a seamless charisma that will keep you smiling to the end. 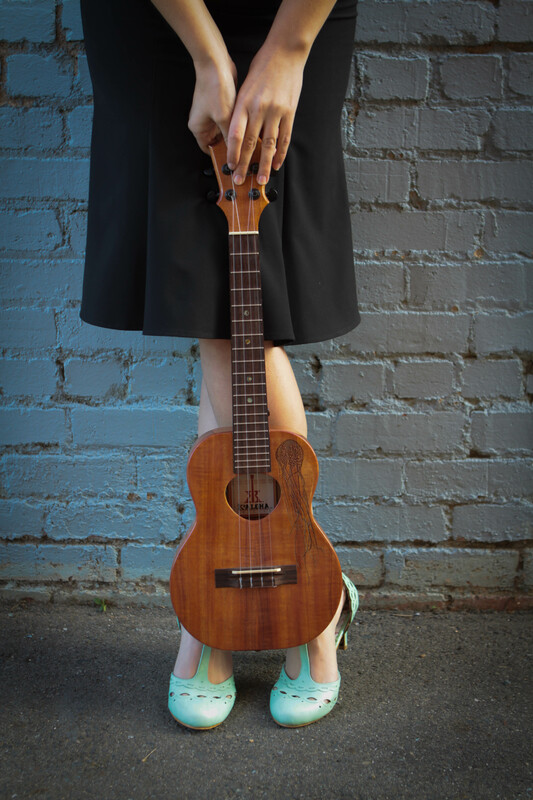 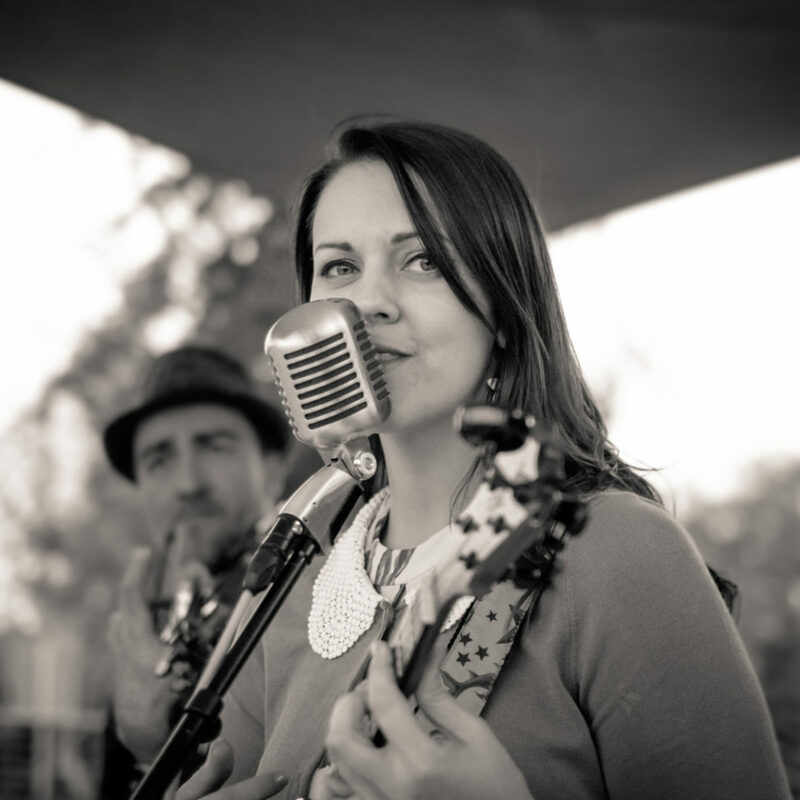 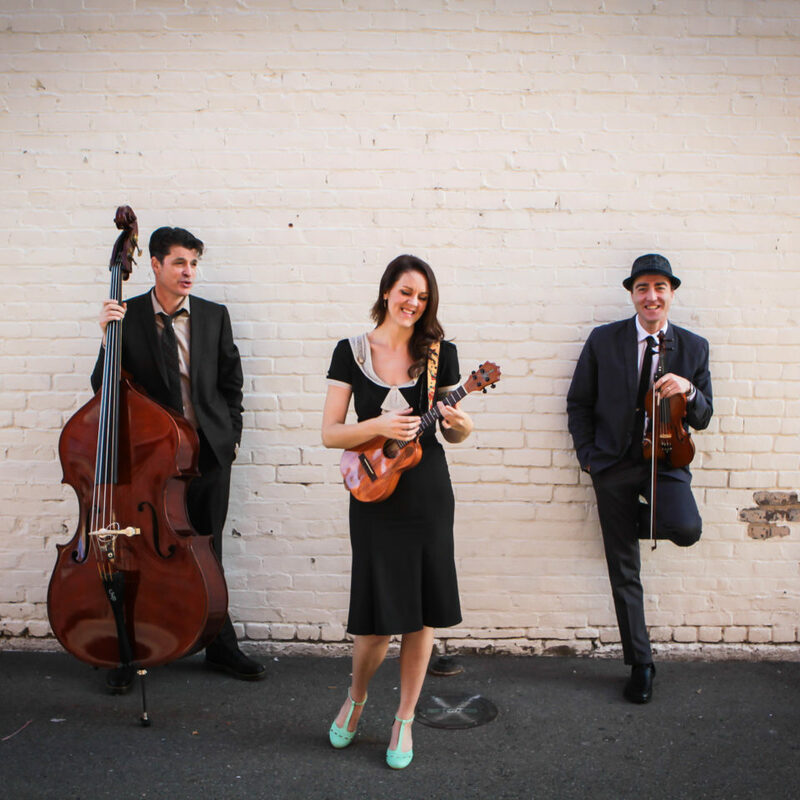 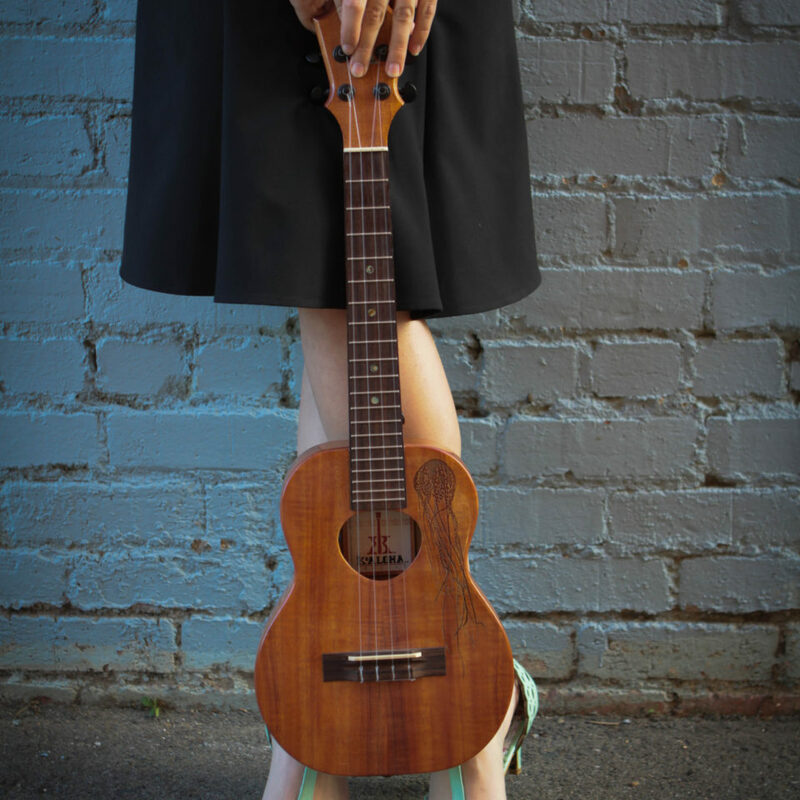 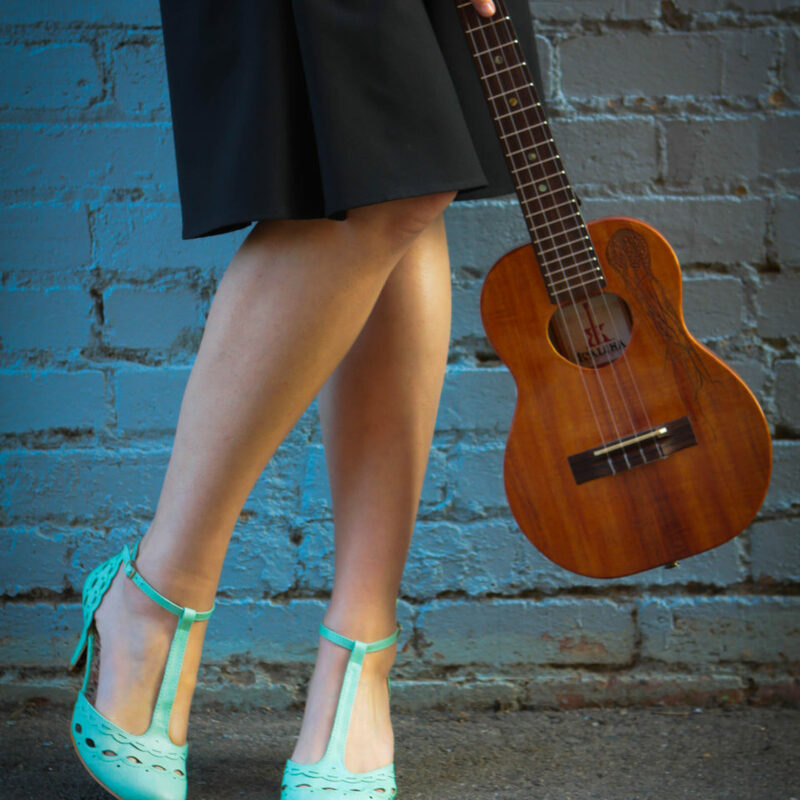 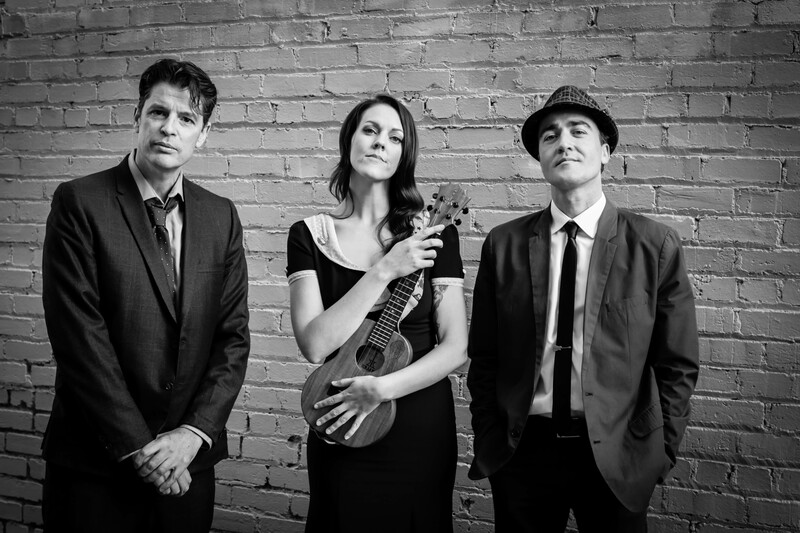 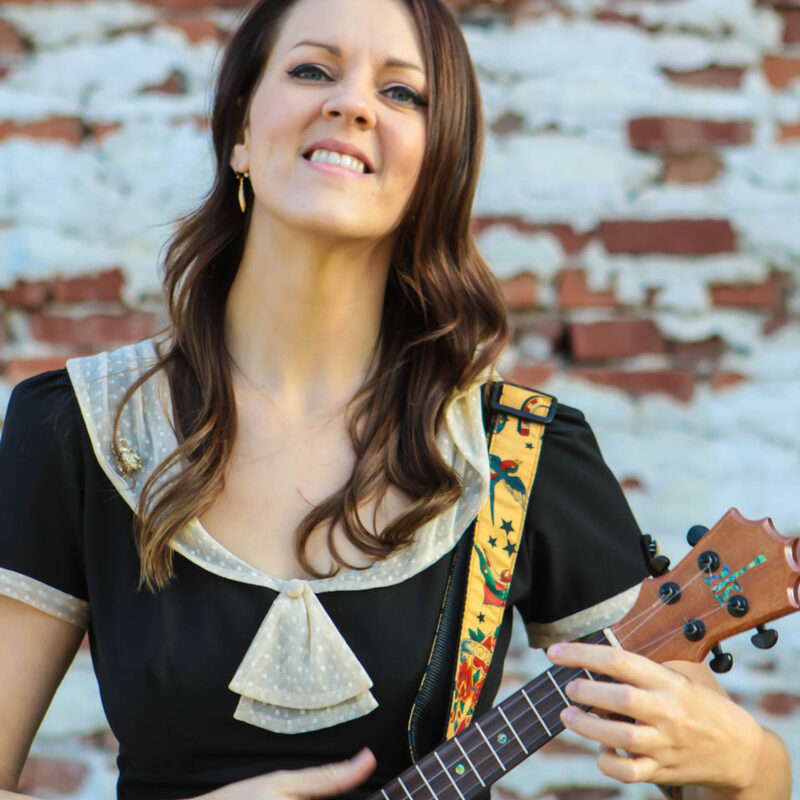 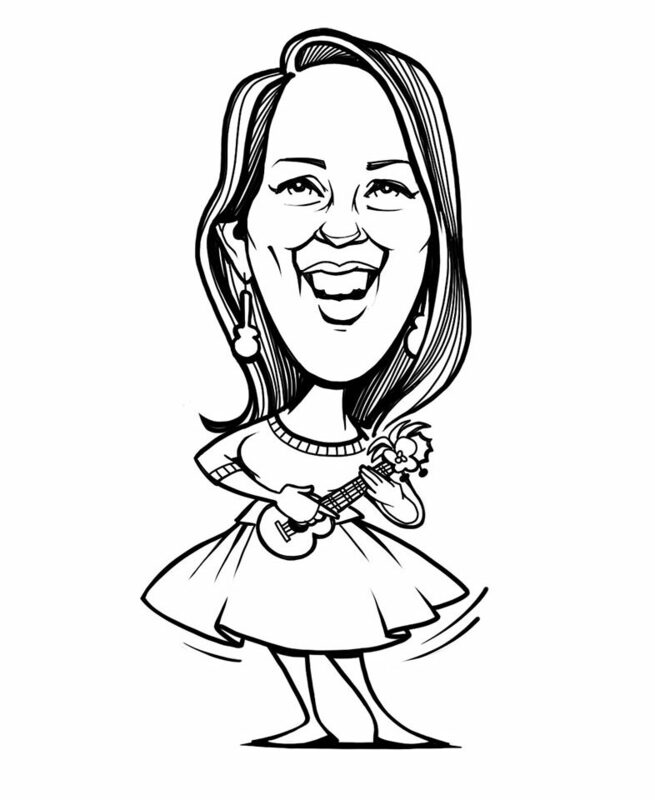 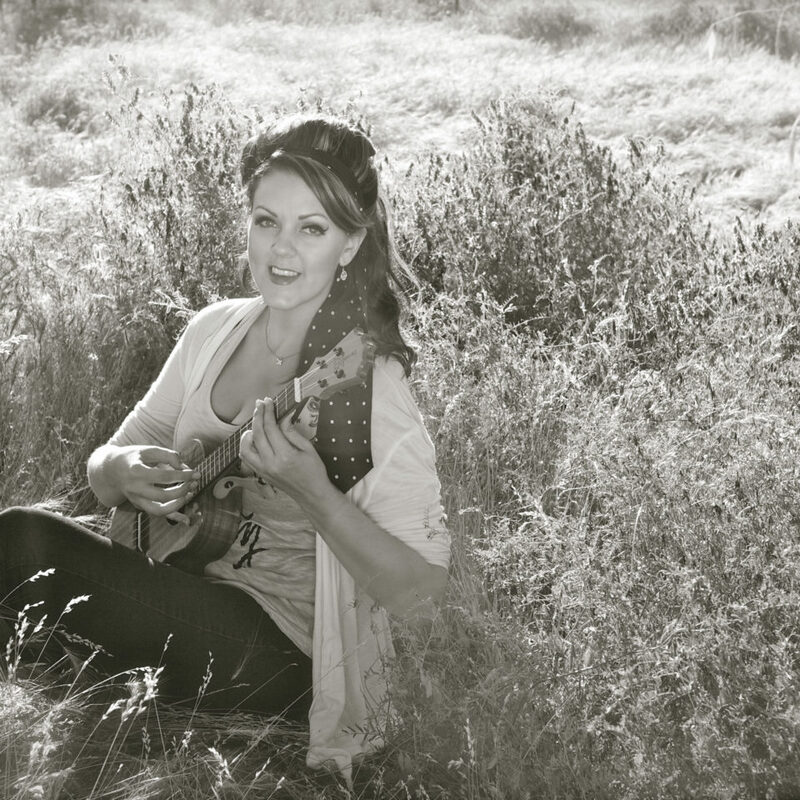 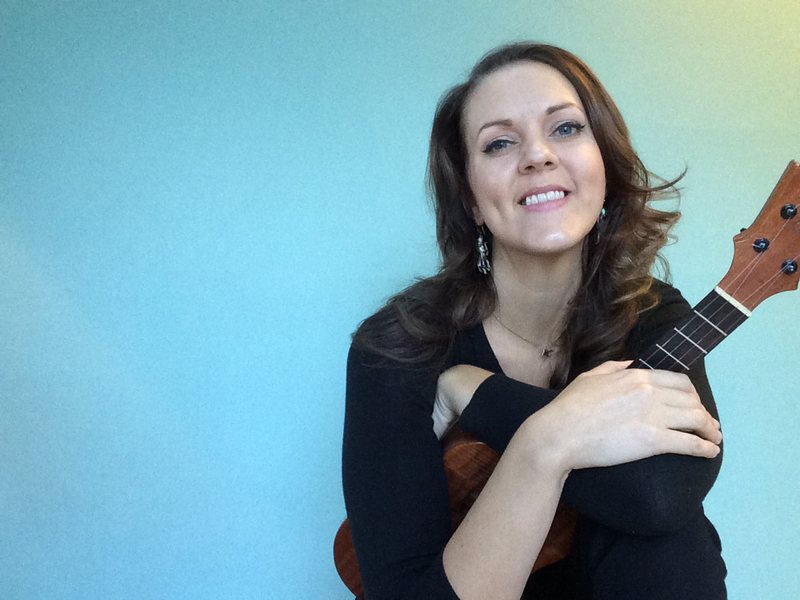 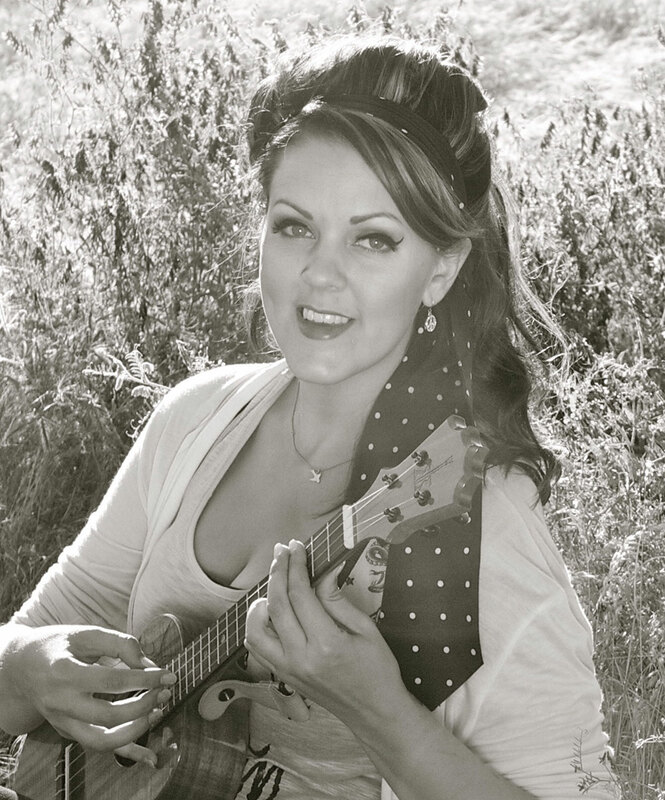 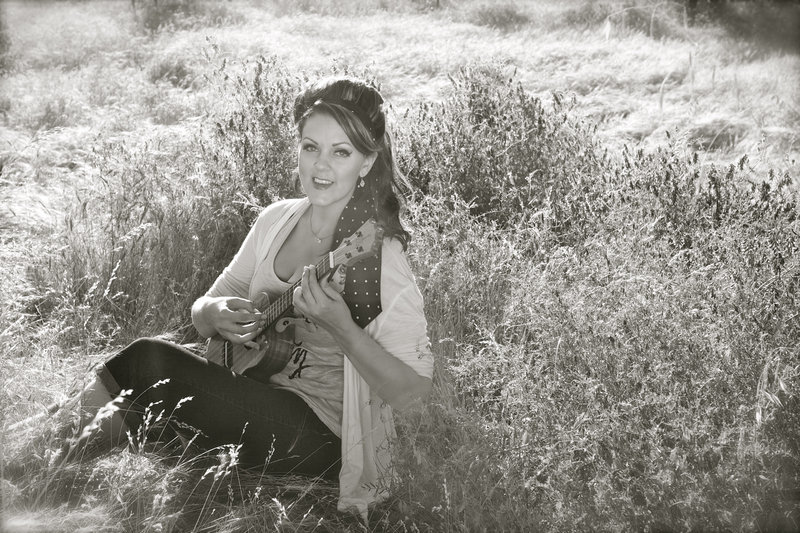 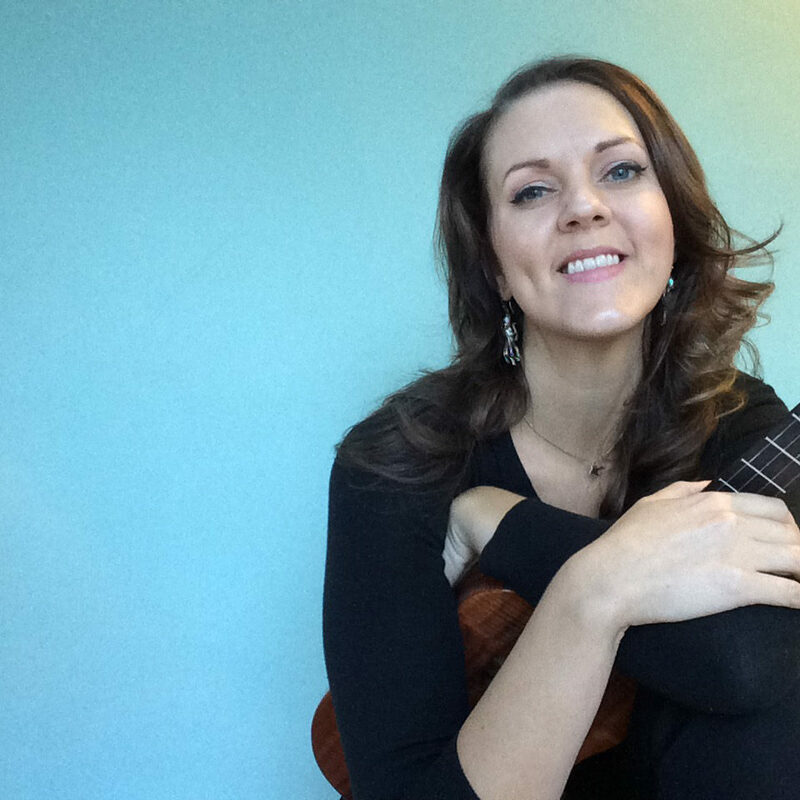 Dani Joy is a California based singer/songwriter/instructor and proud featured artist of Ko’aloha Ukulele. 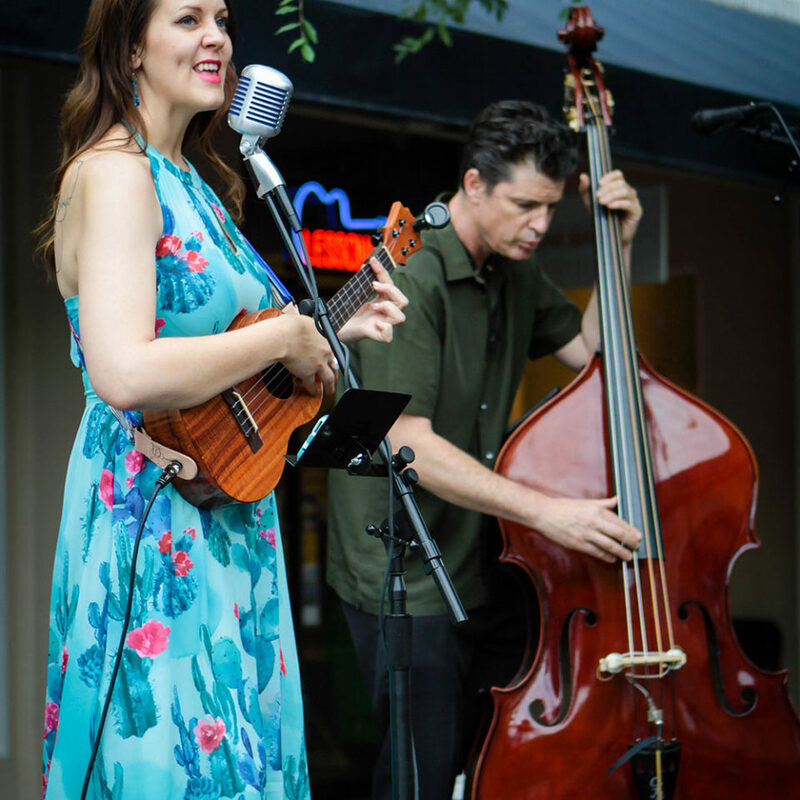 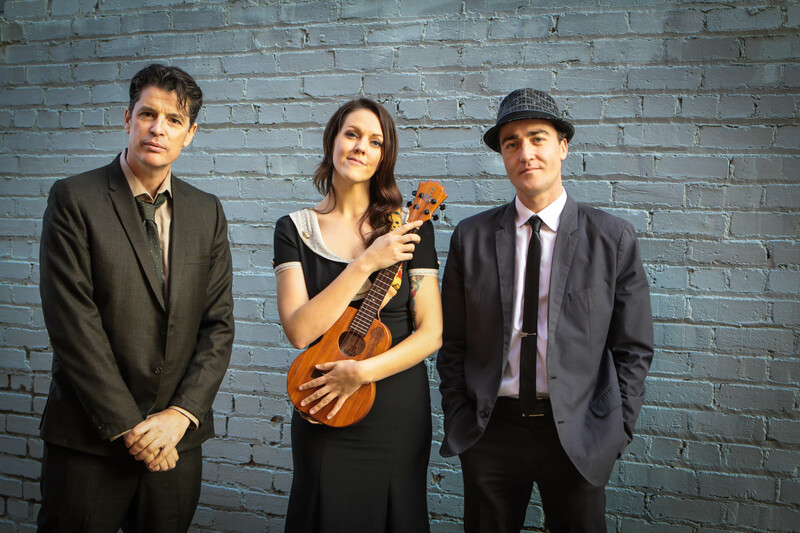 Her world influenced musical style is soothing and romantic, blending old time jazz with Bossa nova/exotica genres, including songs in English, French and Spanish. 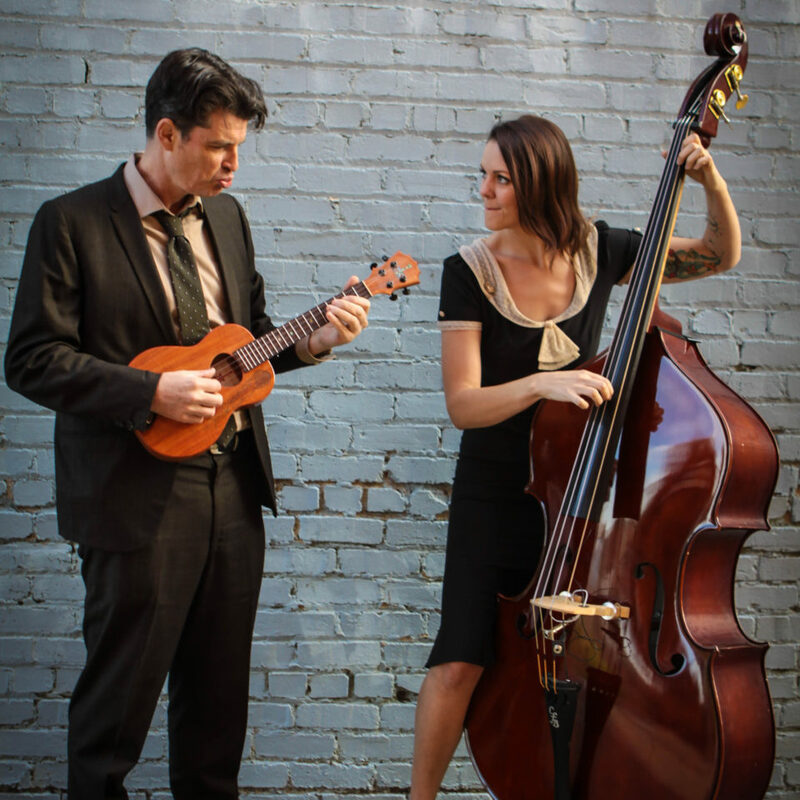 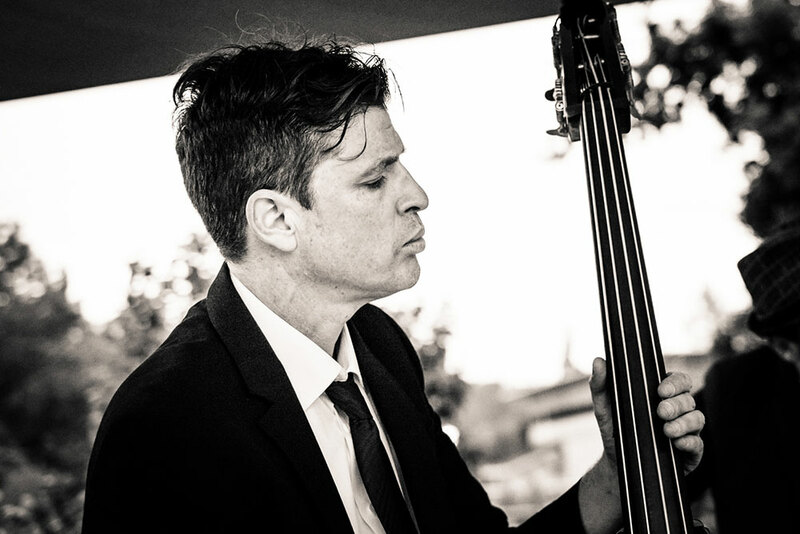 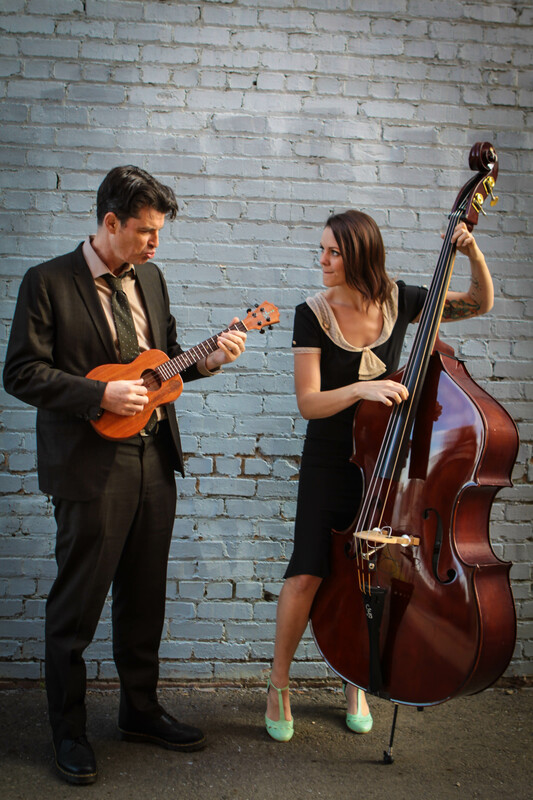 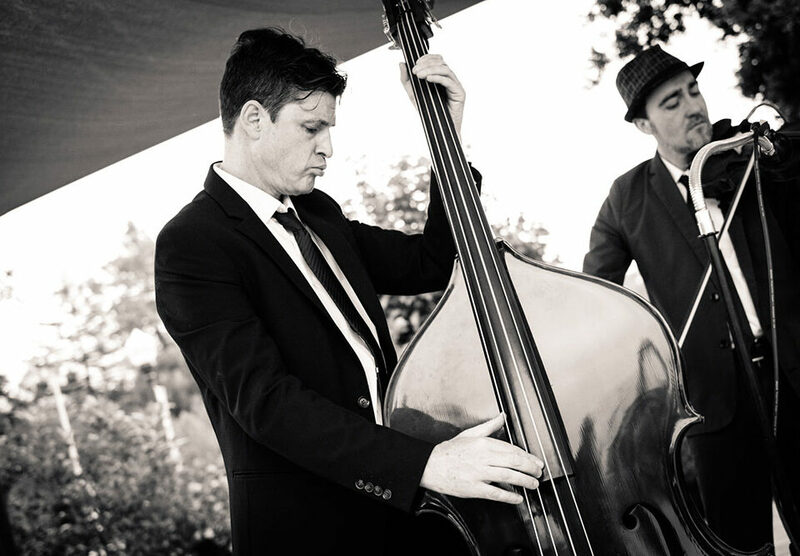 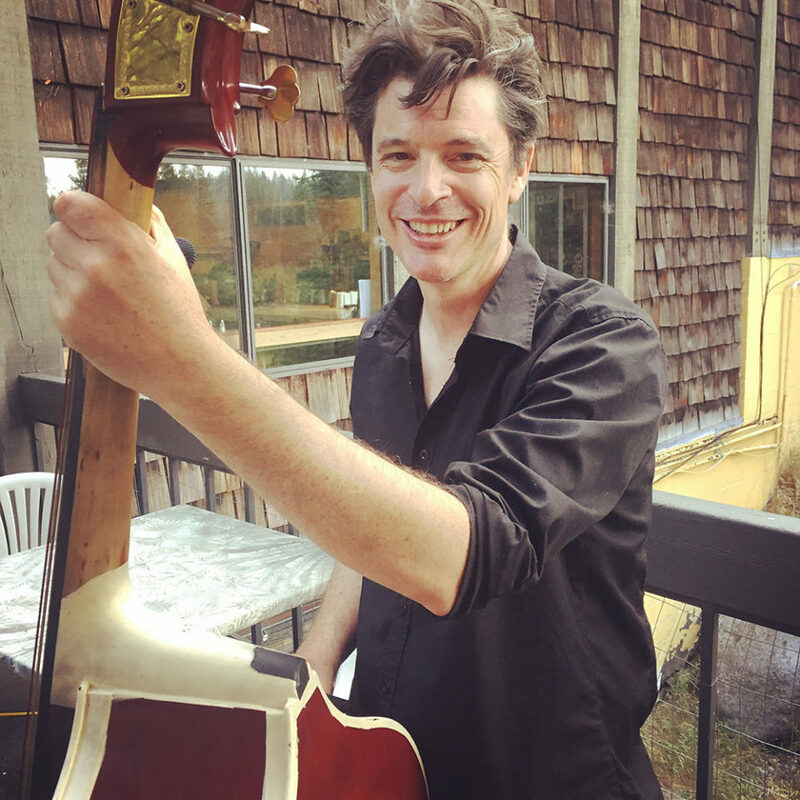 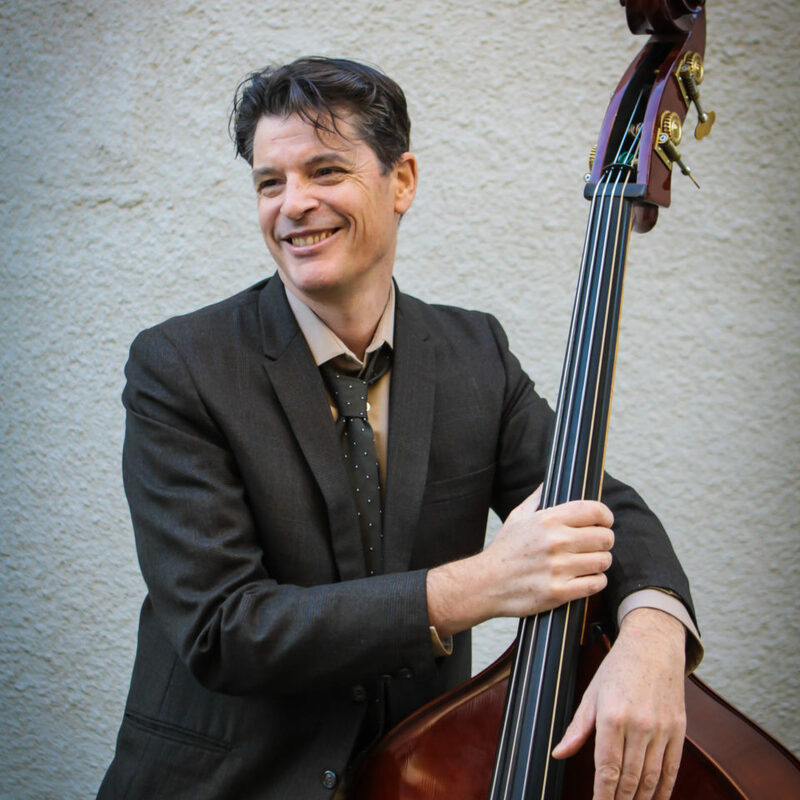 Accompanying her on the upright bass is Perry Stauffer, a Grass Valley local artist, who’s bass lines are not just foundational, but extraordinary. 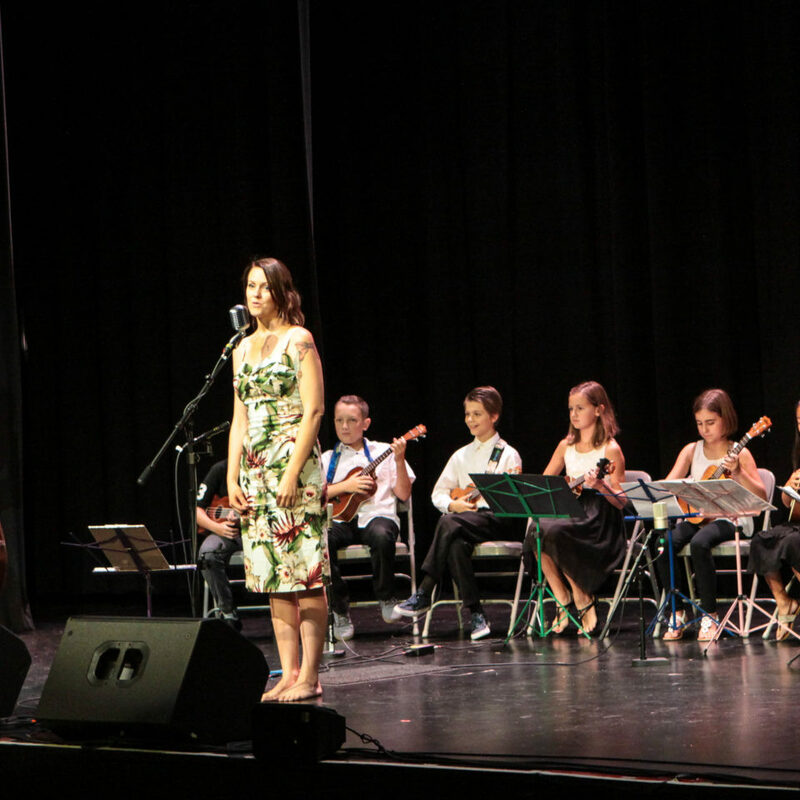 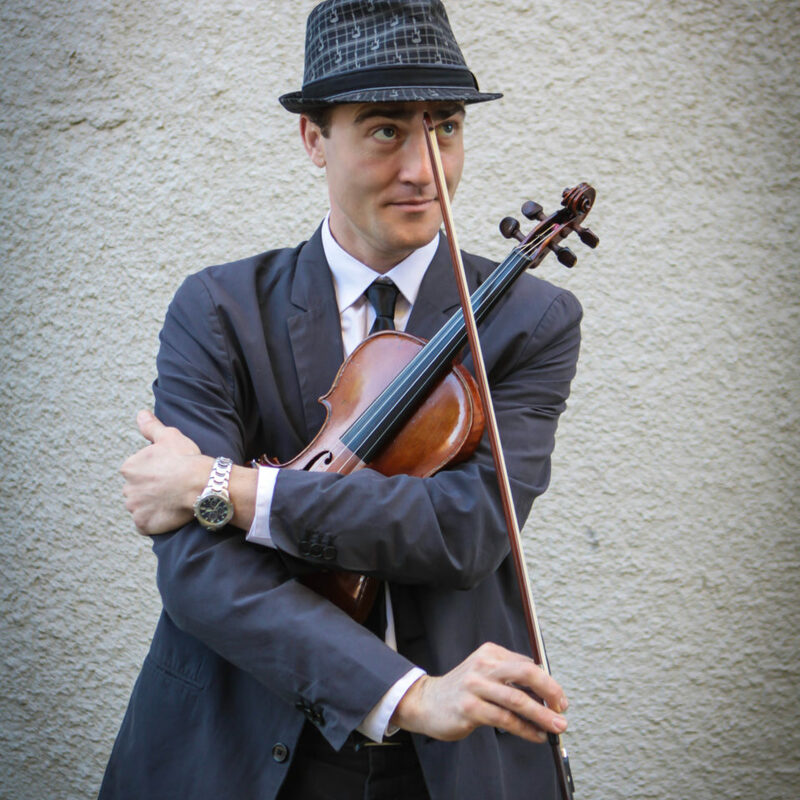 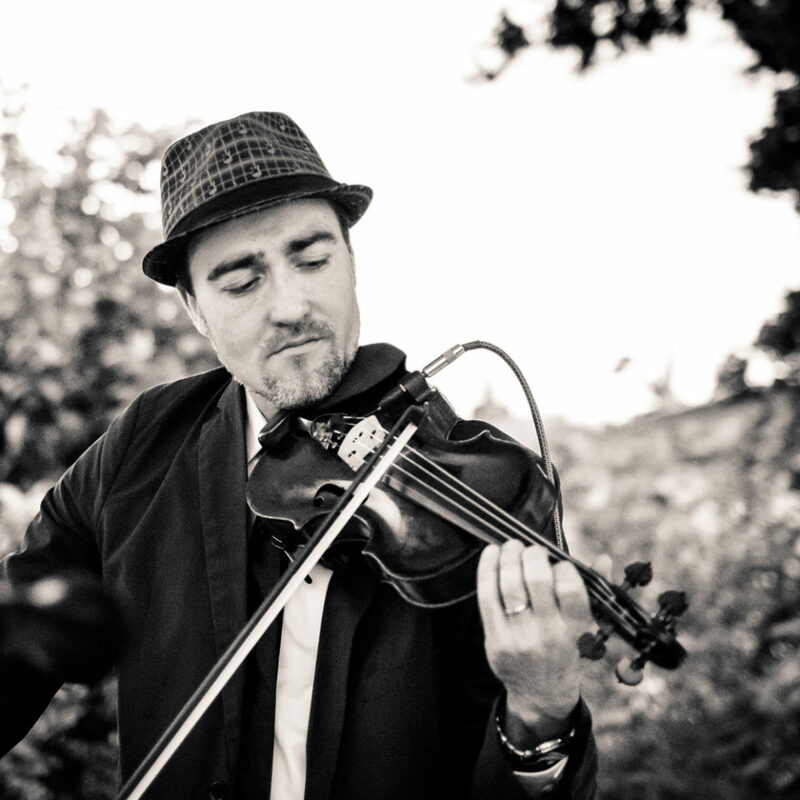 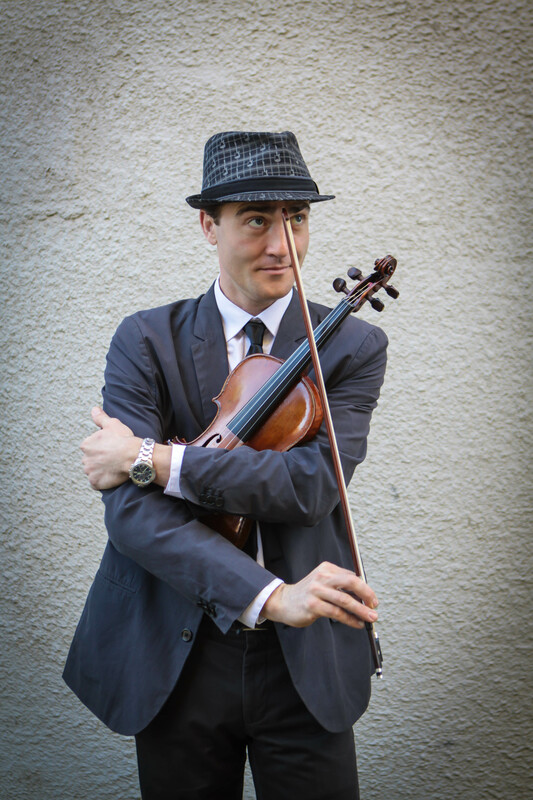 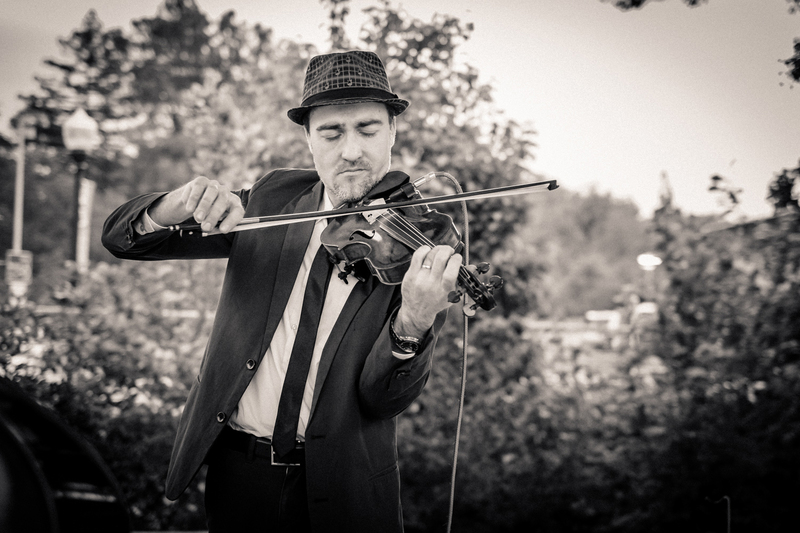 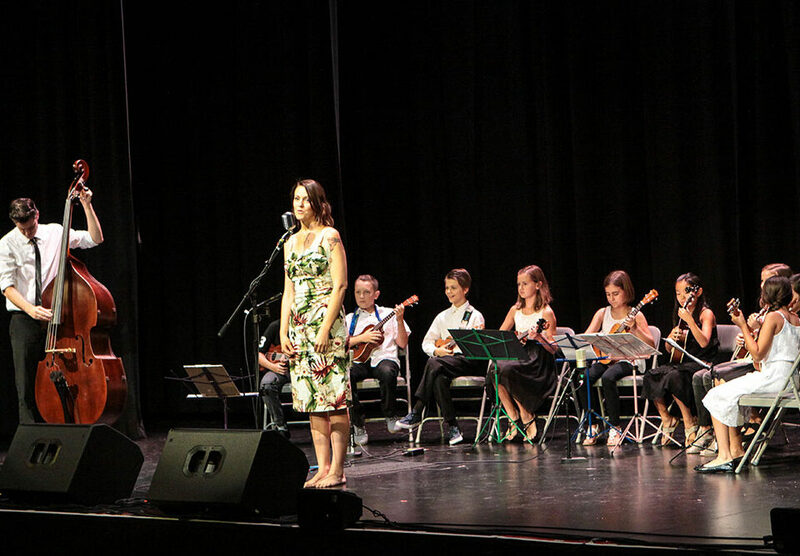 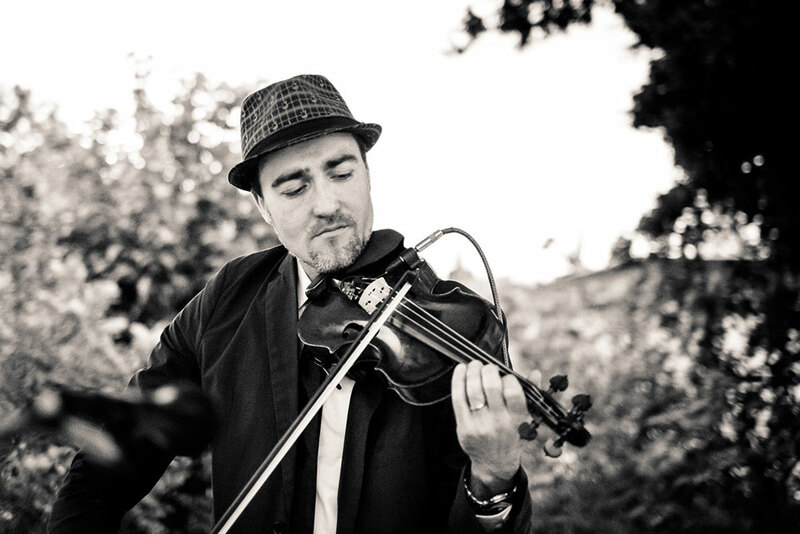 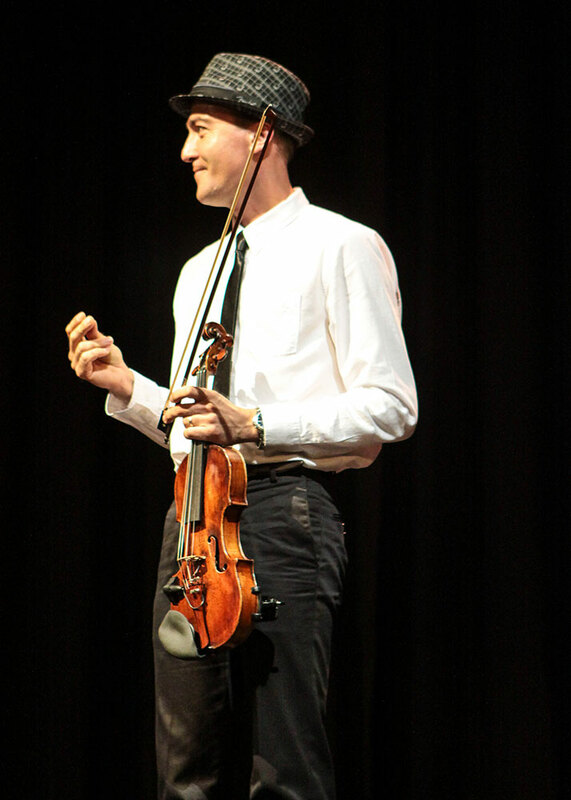 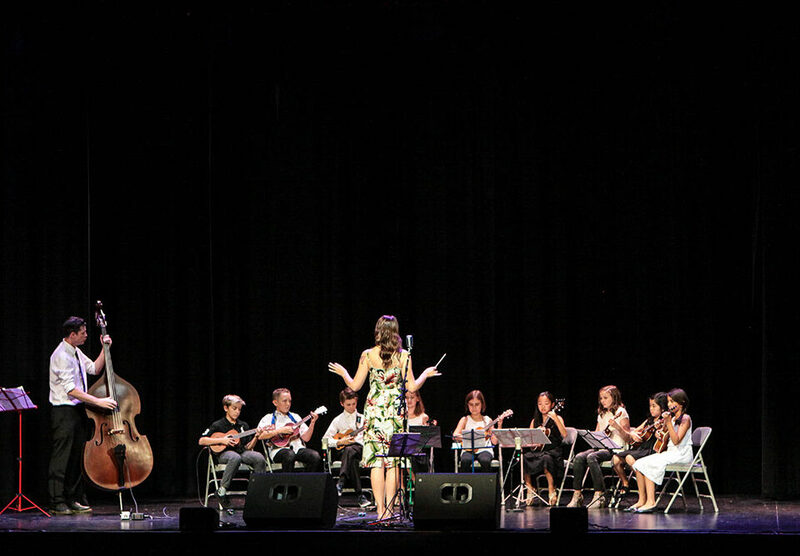 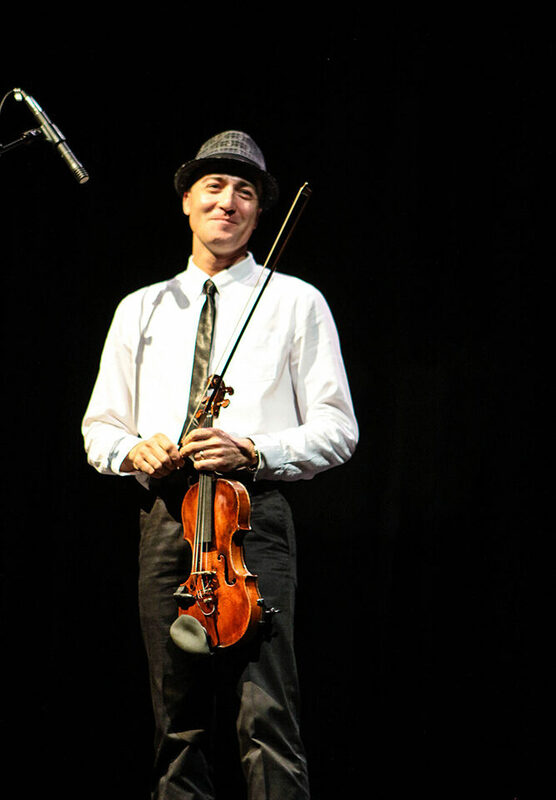 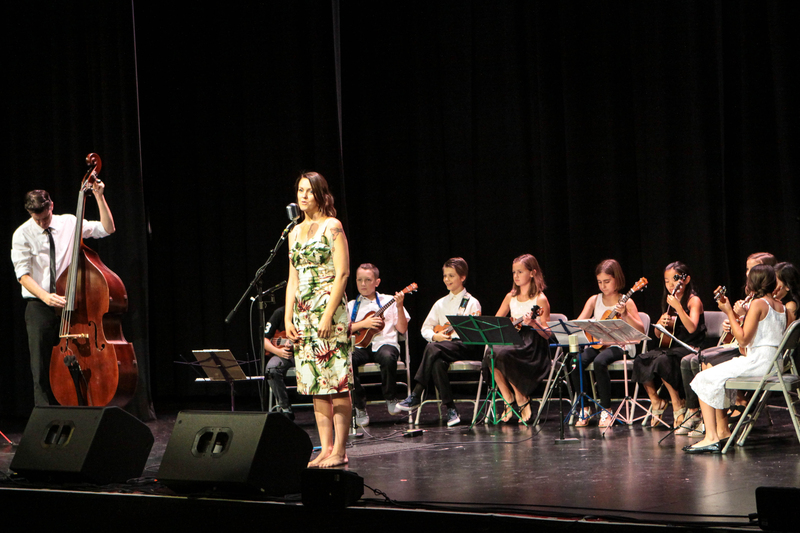 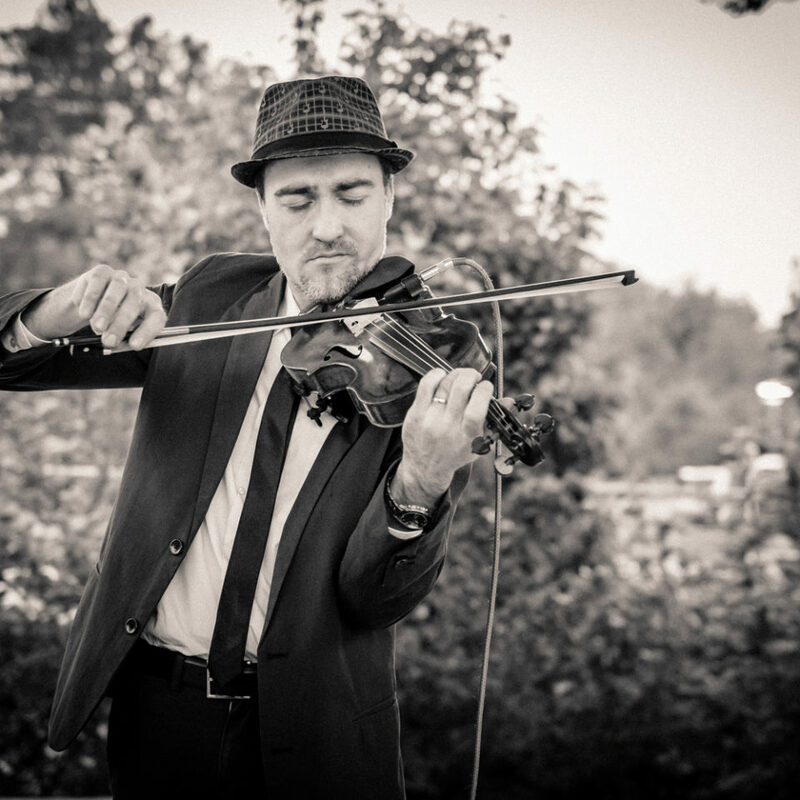 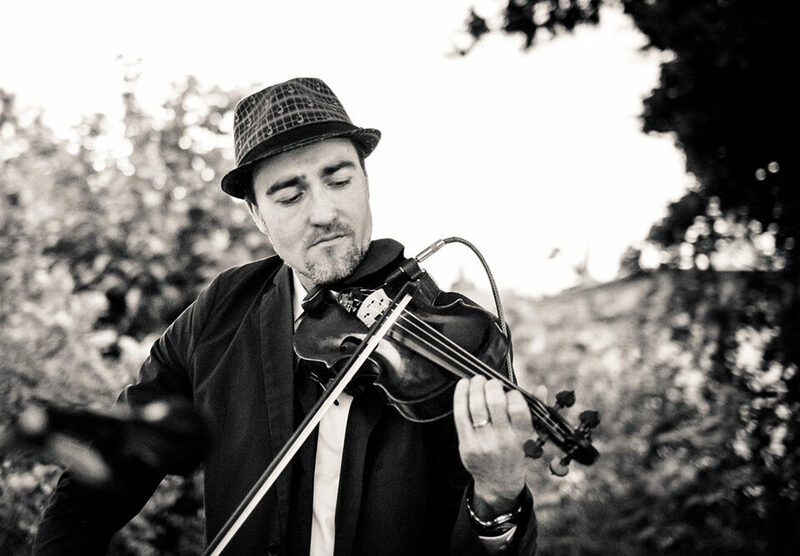 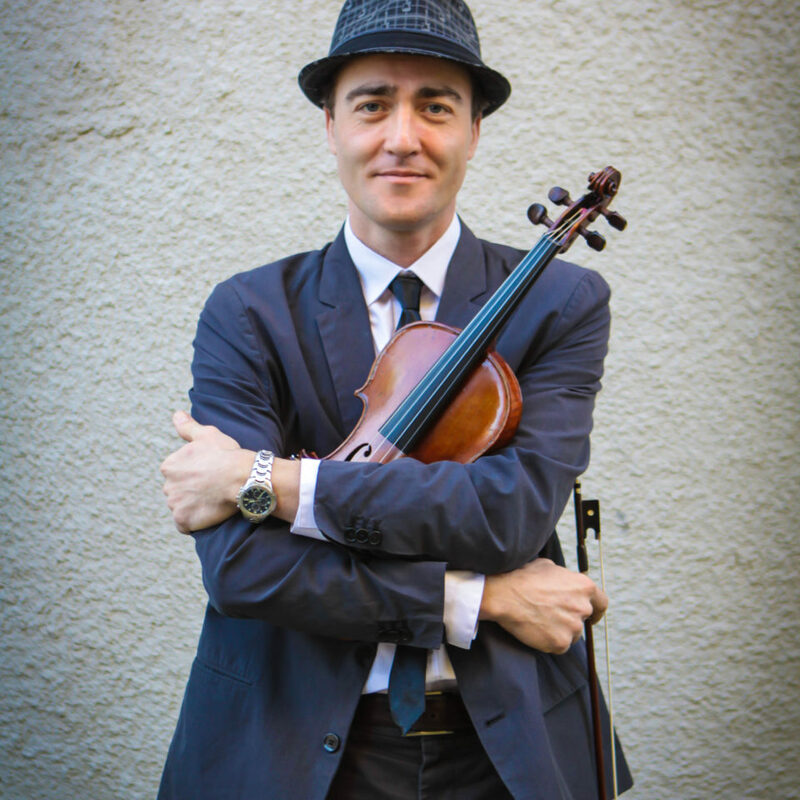 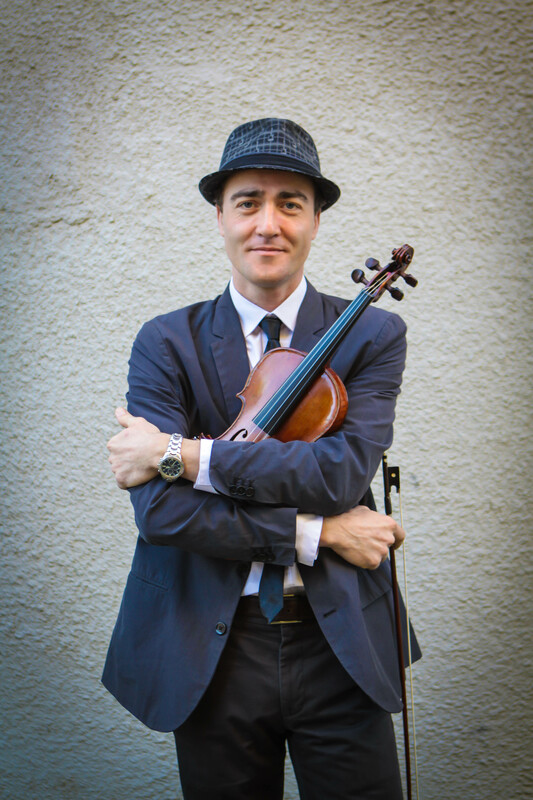 The cherry on top is violinist Giorgi Khokhobashvili, who began his studies in his home Country of Georgia, and has been impressing audiences ever since with his Gypsy-influenced style. 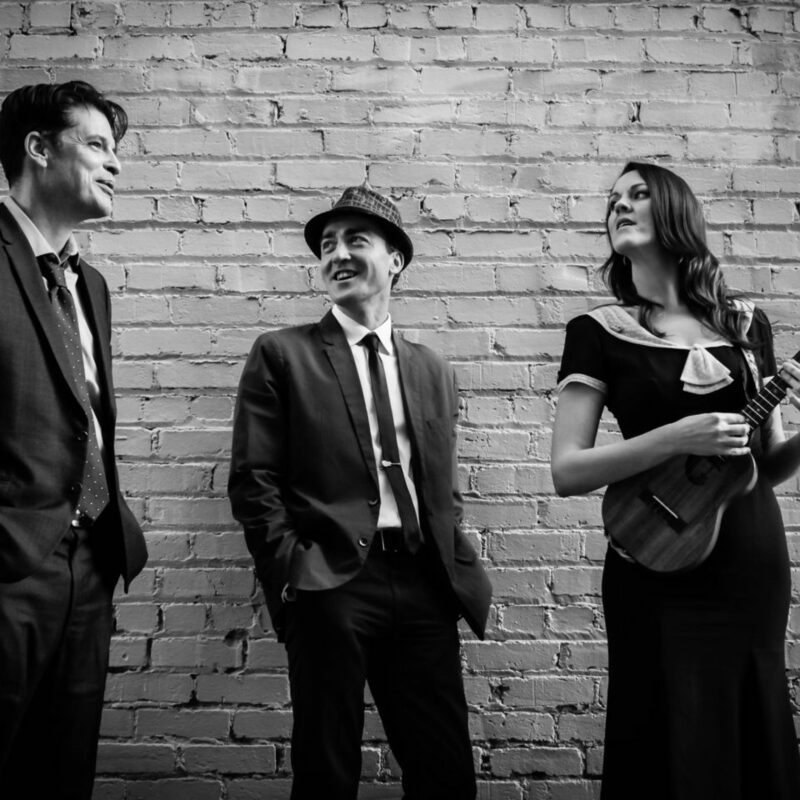 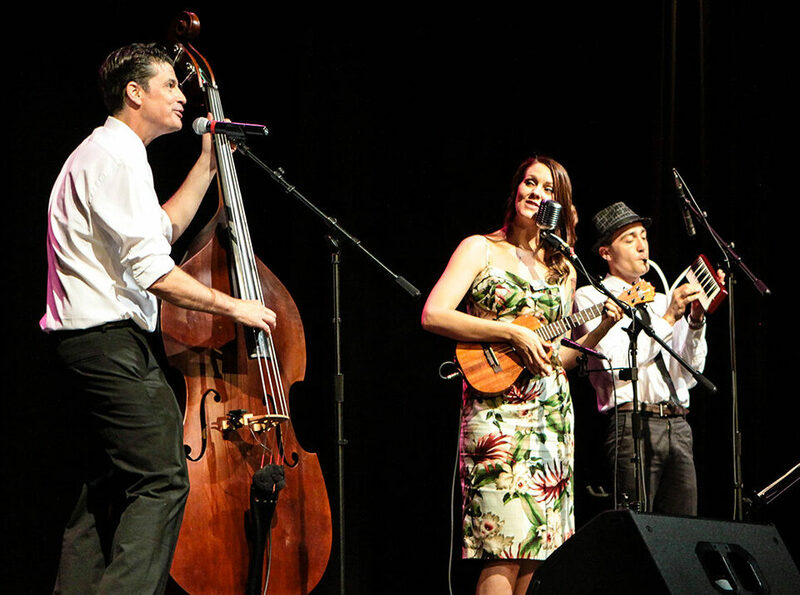 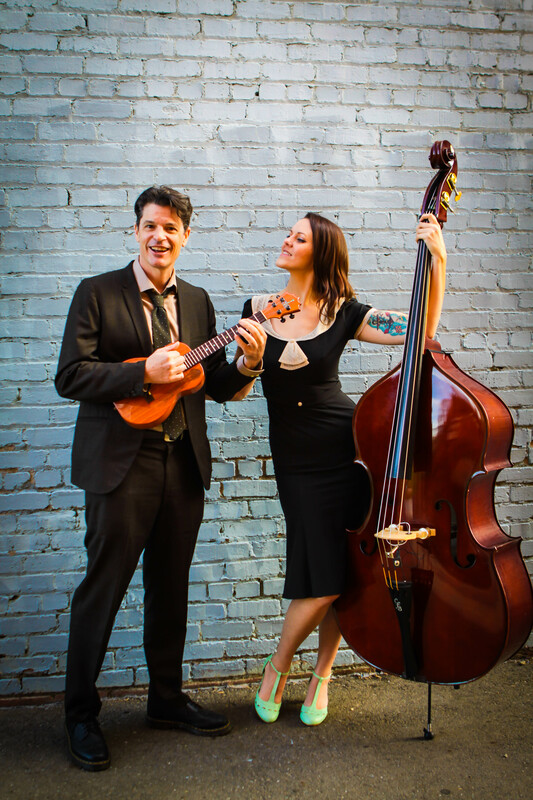 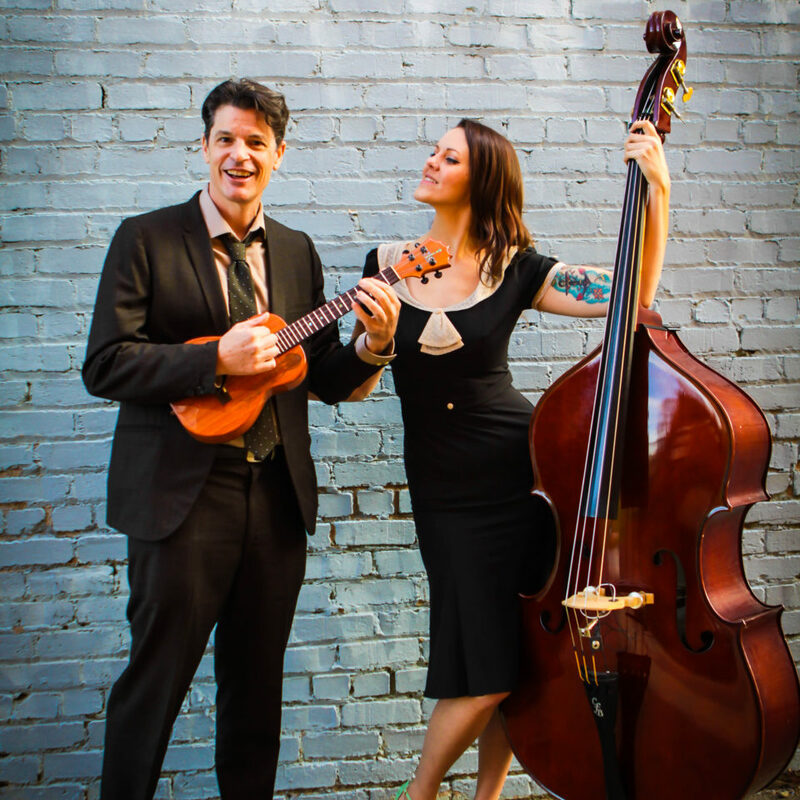 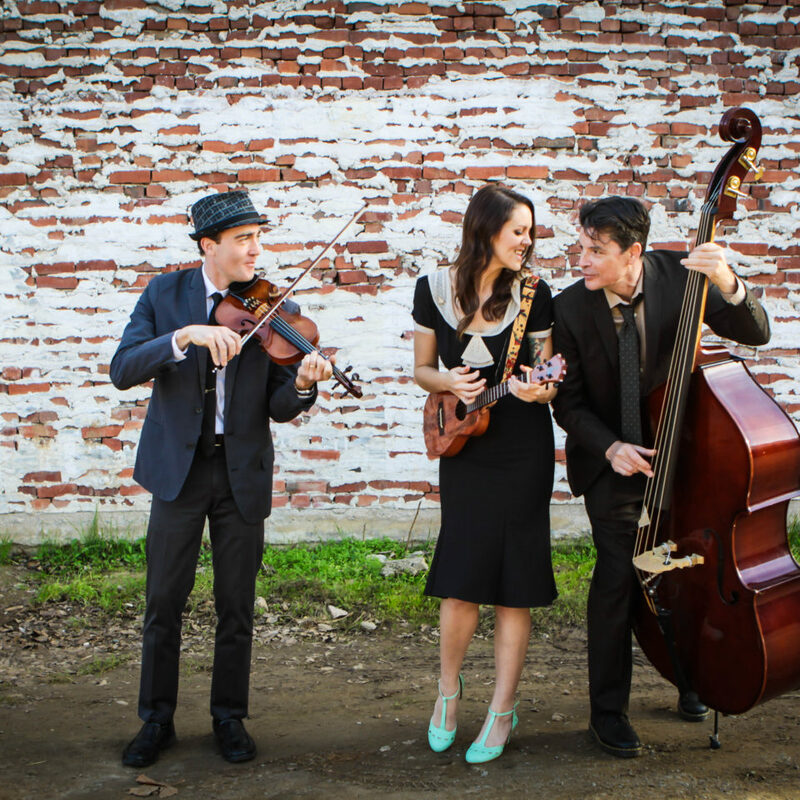 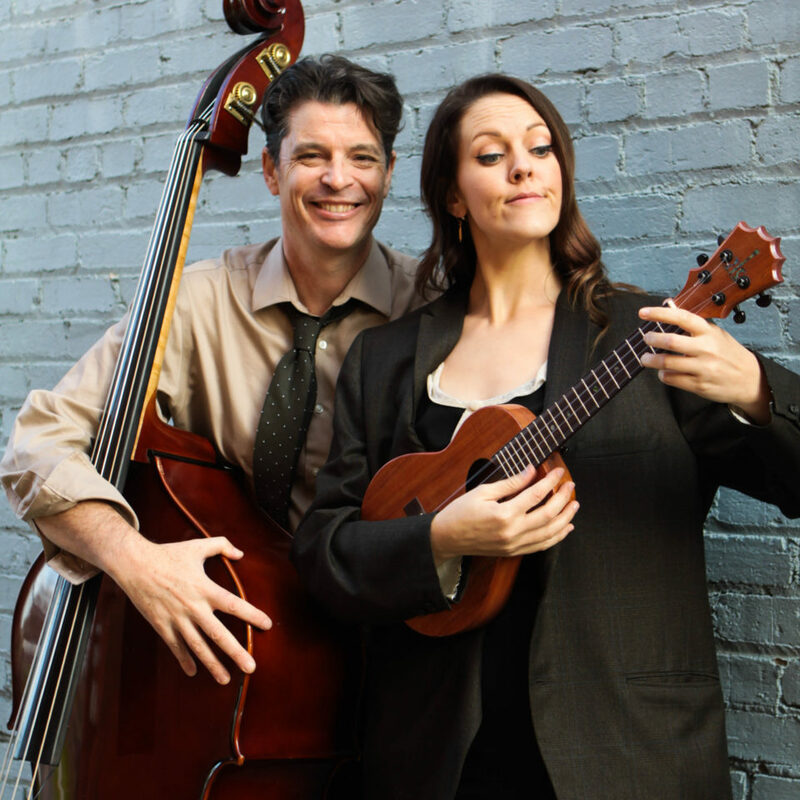 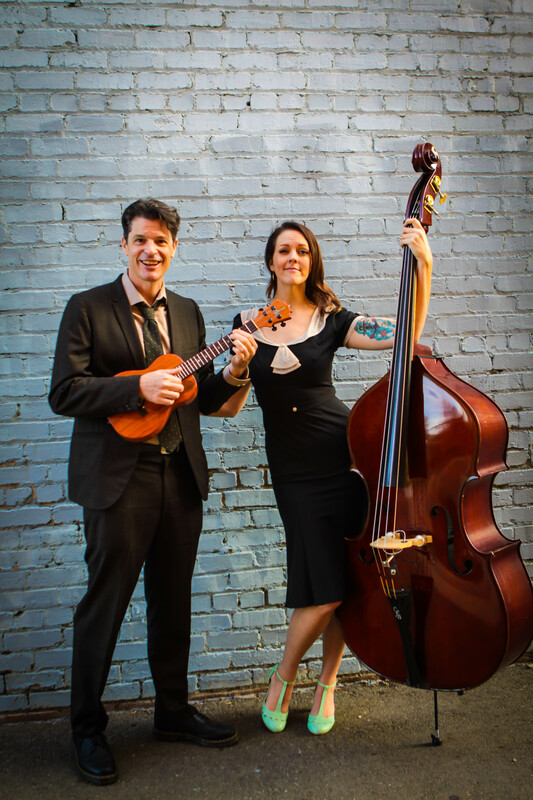 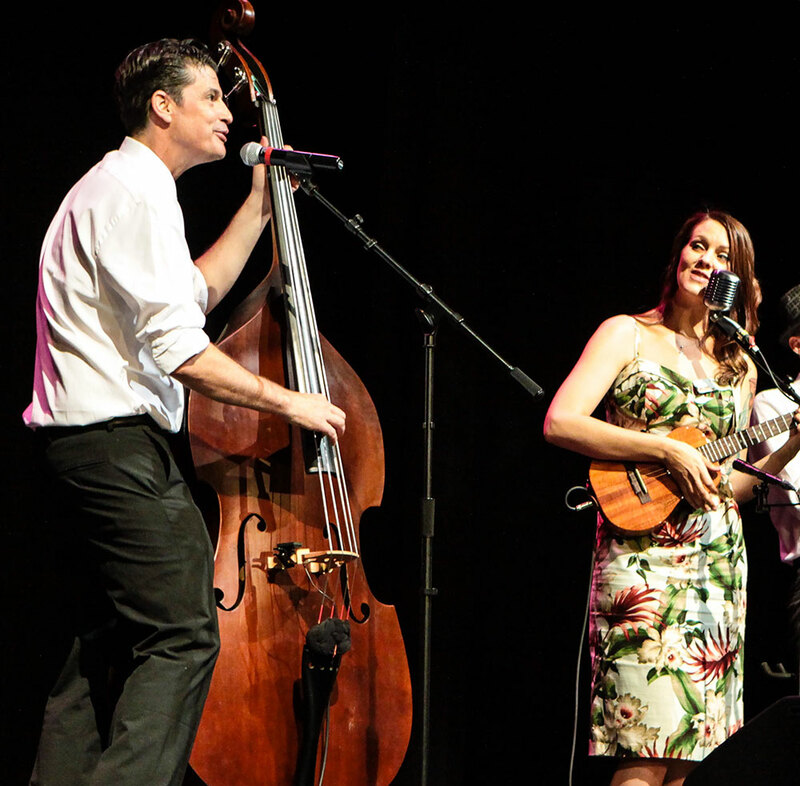 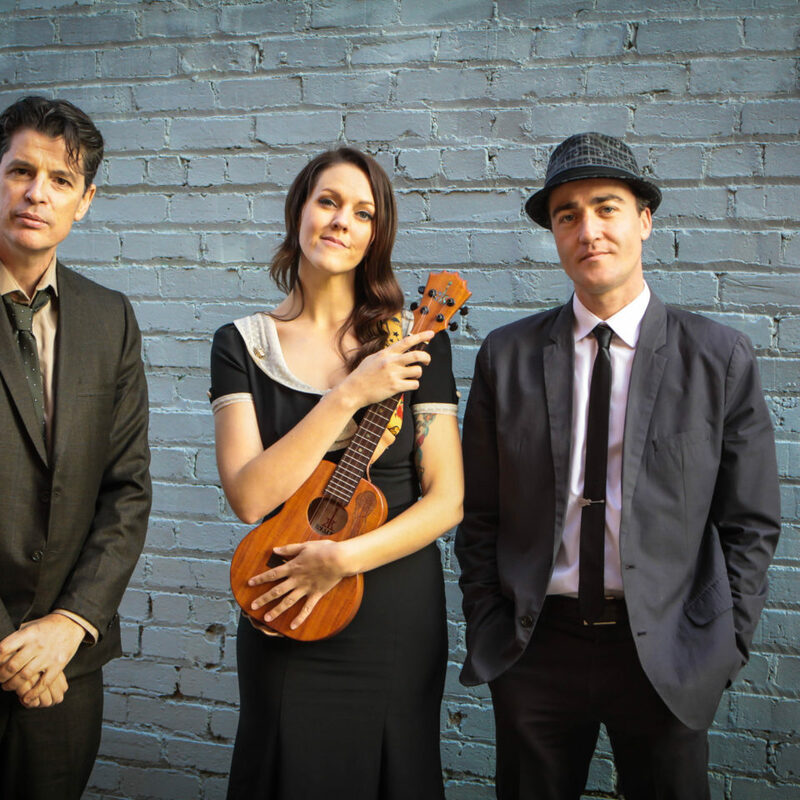 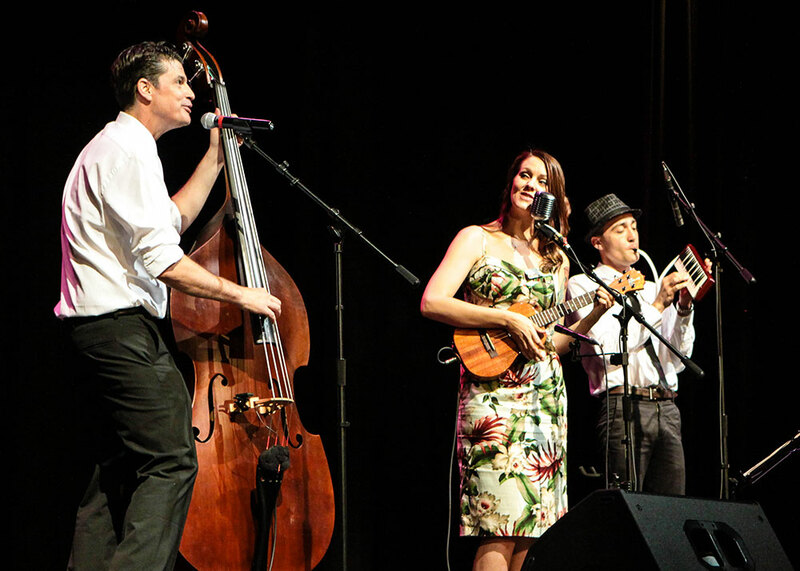 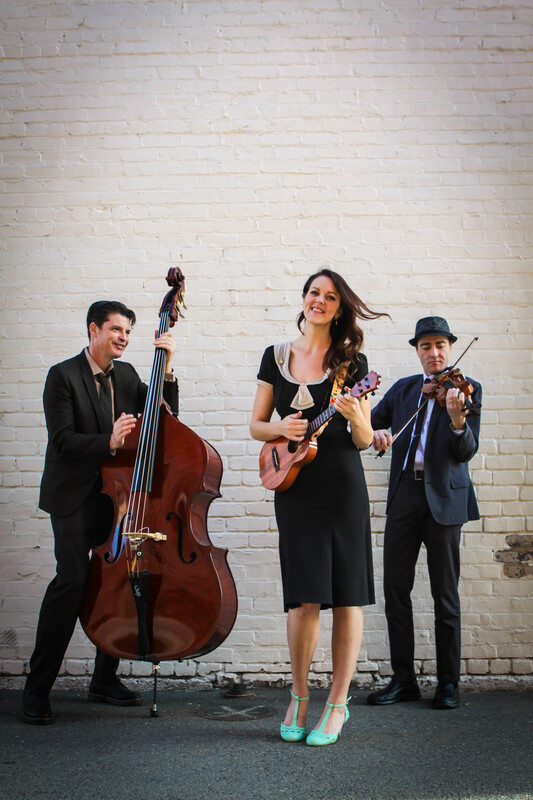 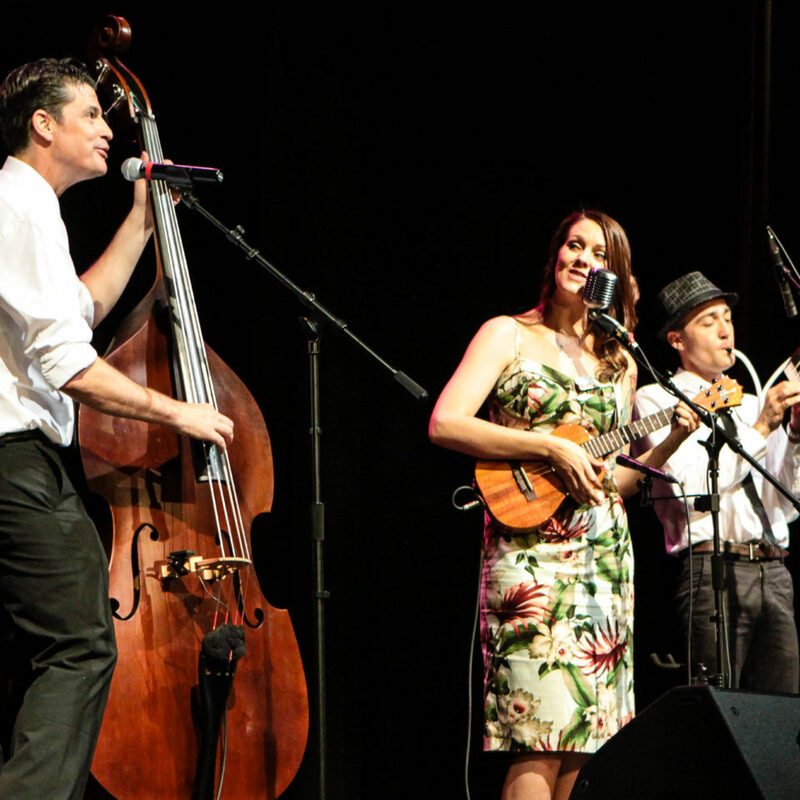 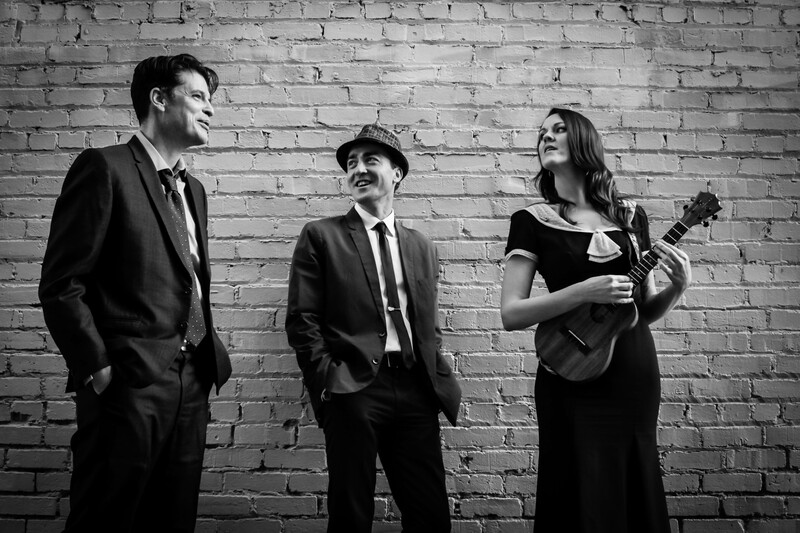 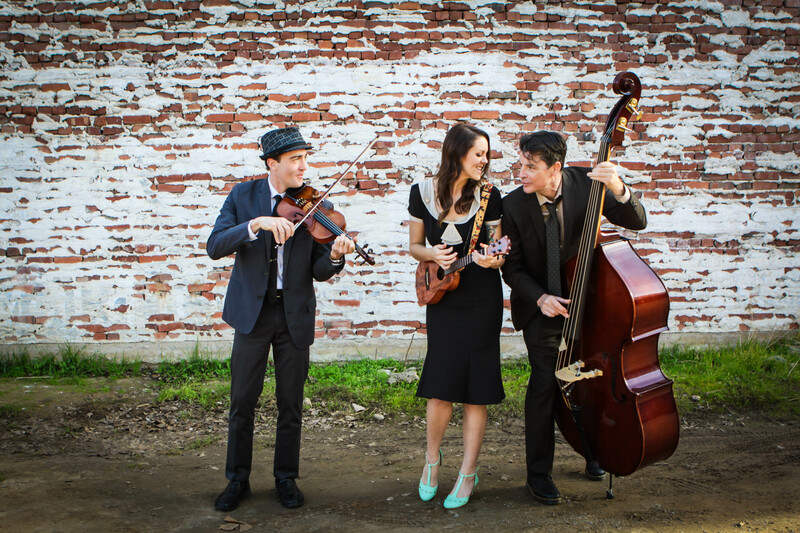 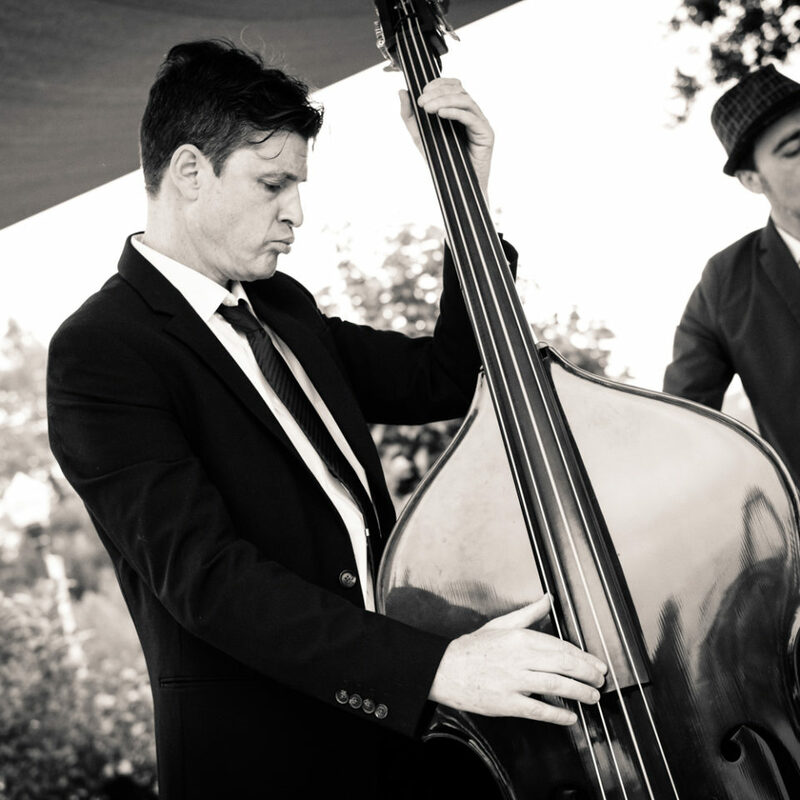 Together, their charisma and easy flowing tunes will keep you smiling all night. 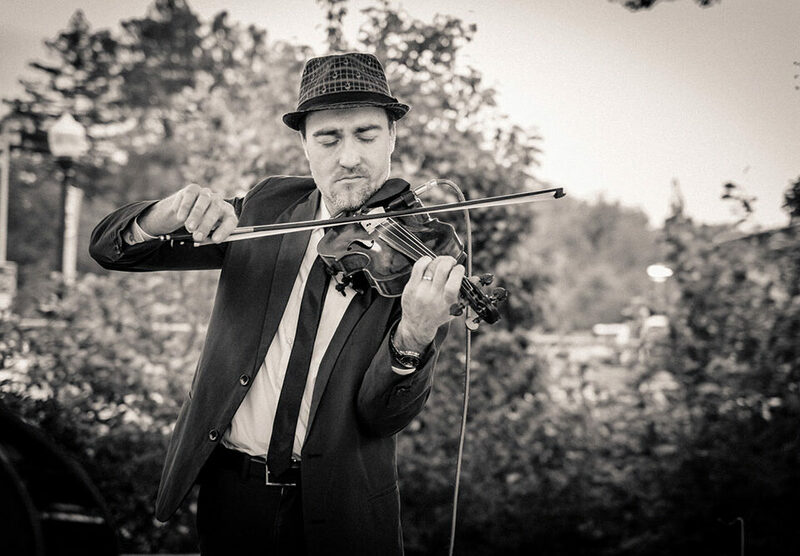 Select an image to view it in a new window, and right-click to save to your computer.